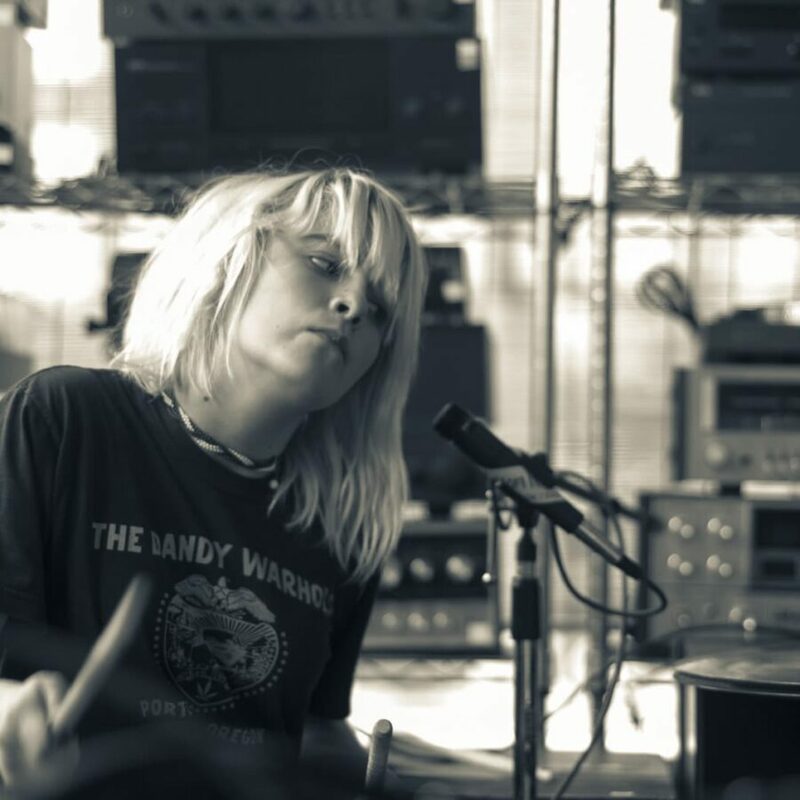 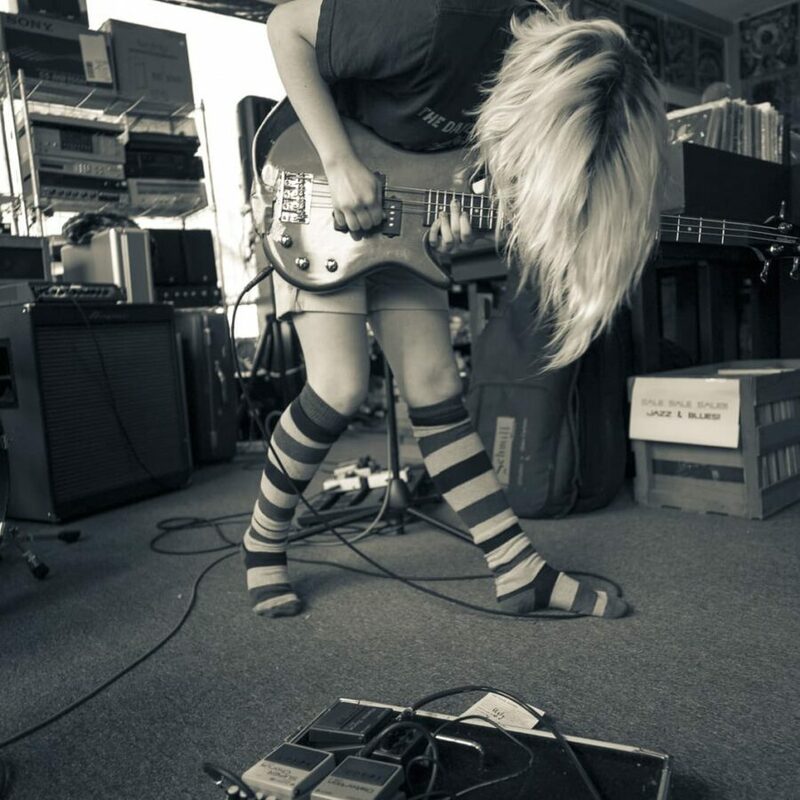 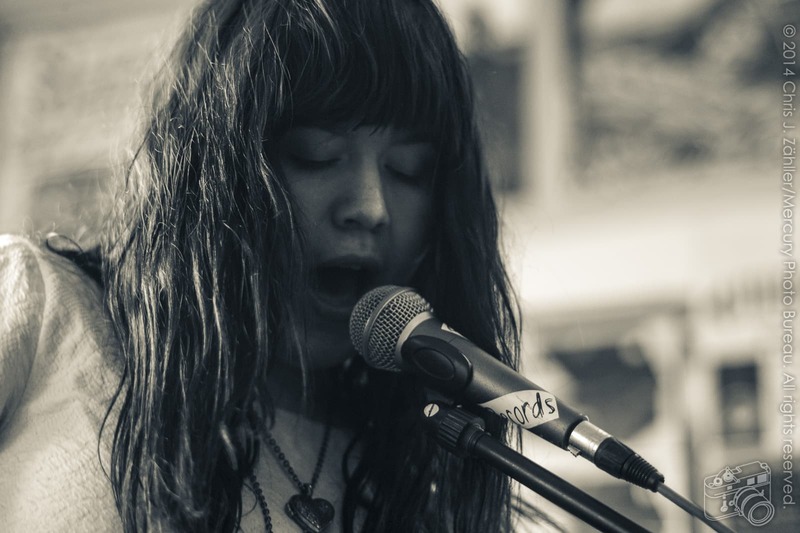 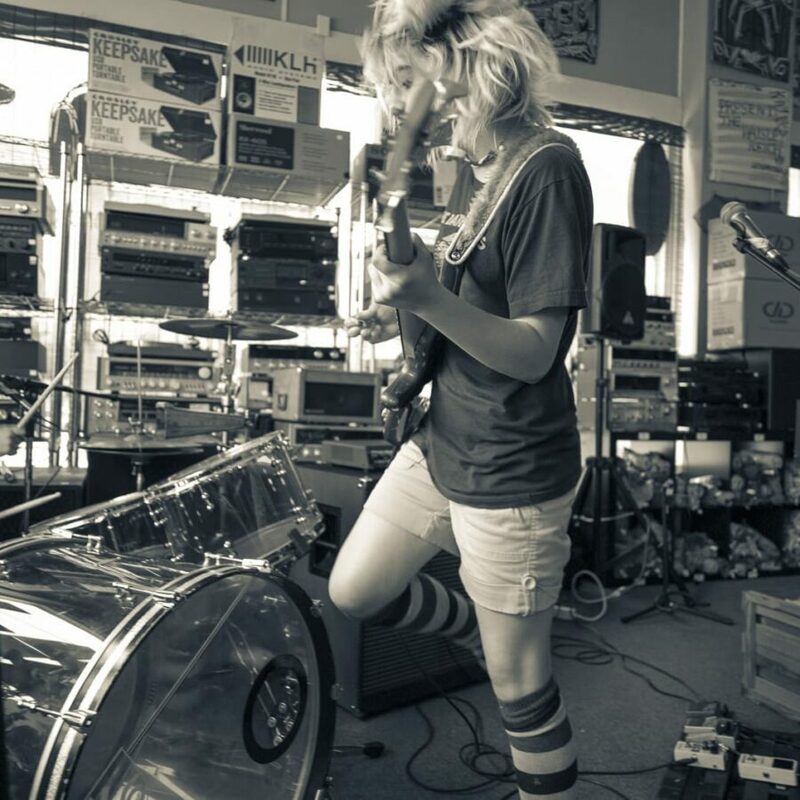 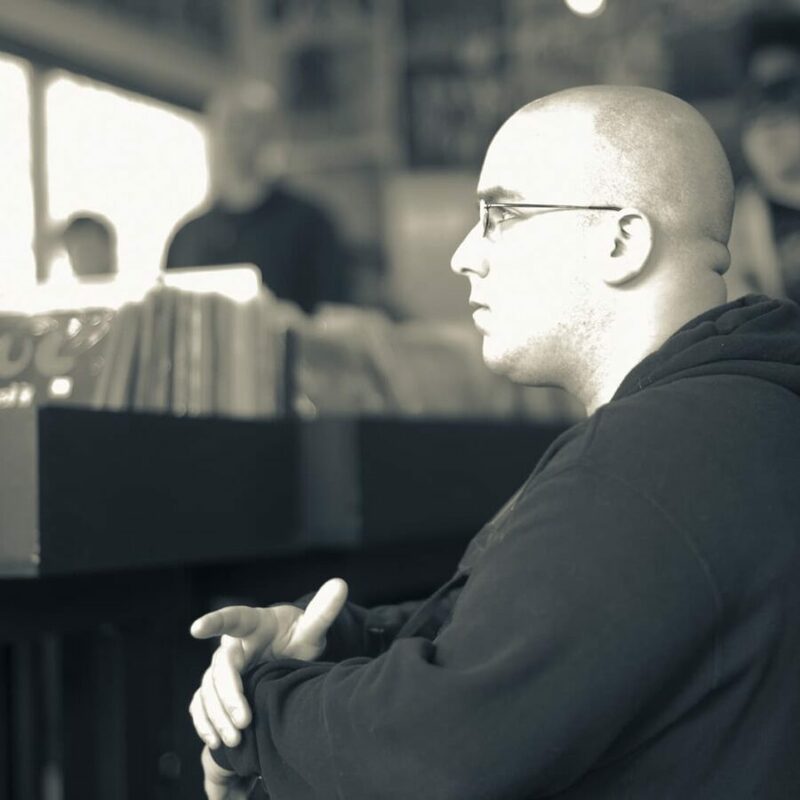 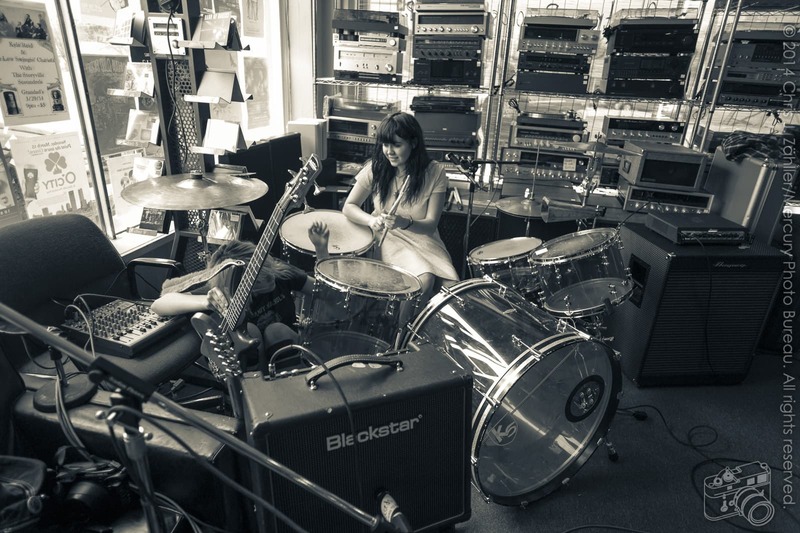 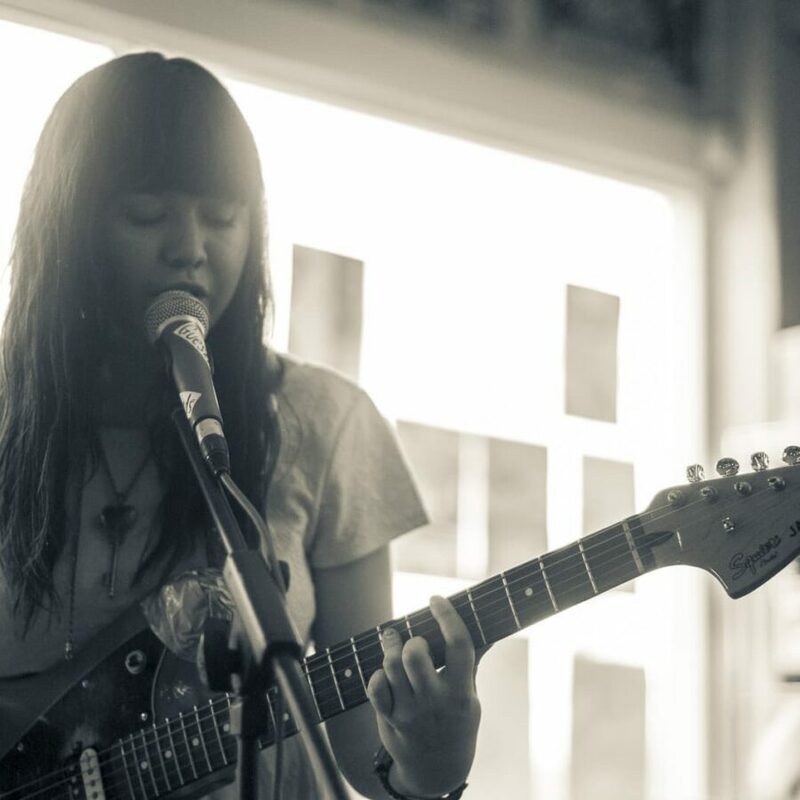 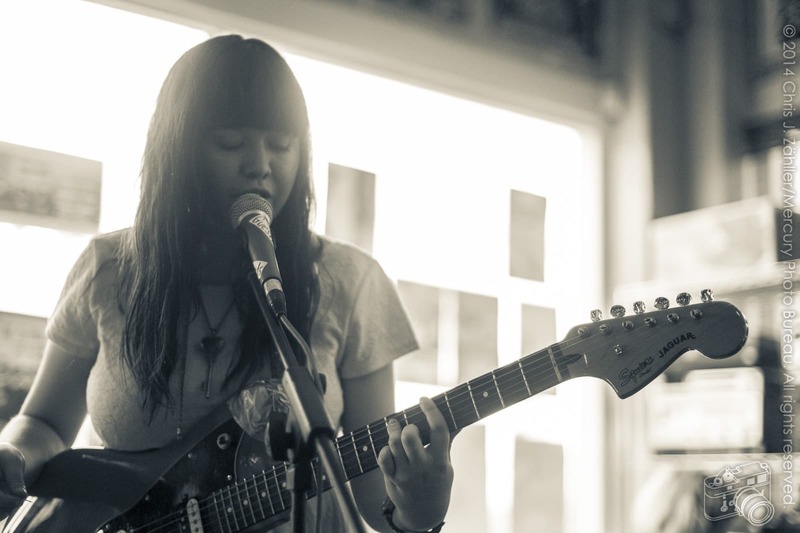 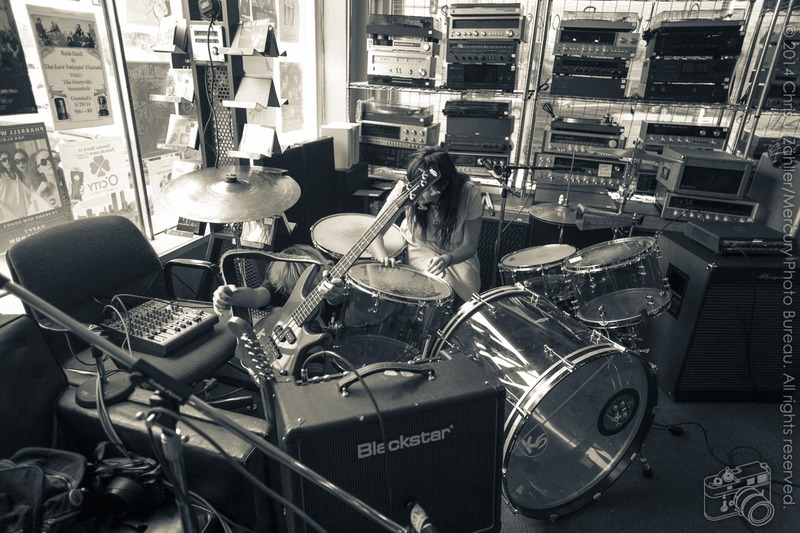 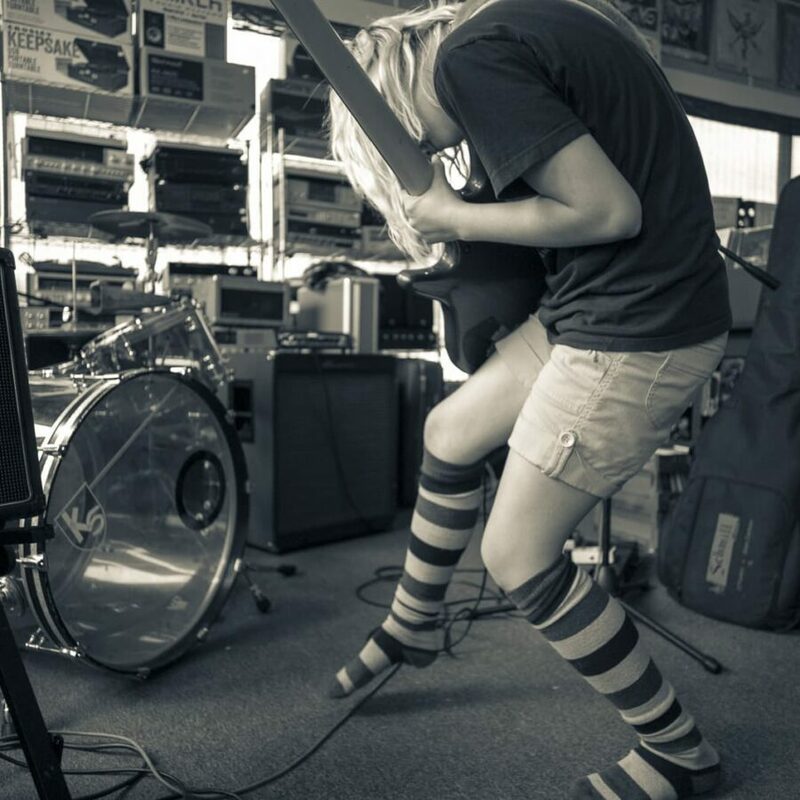 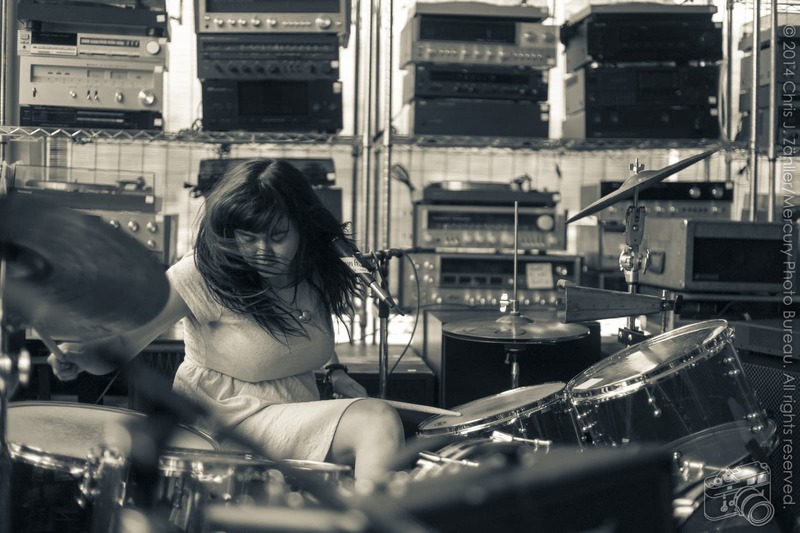 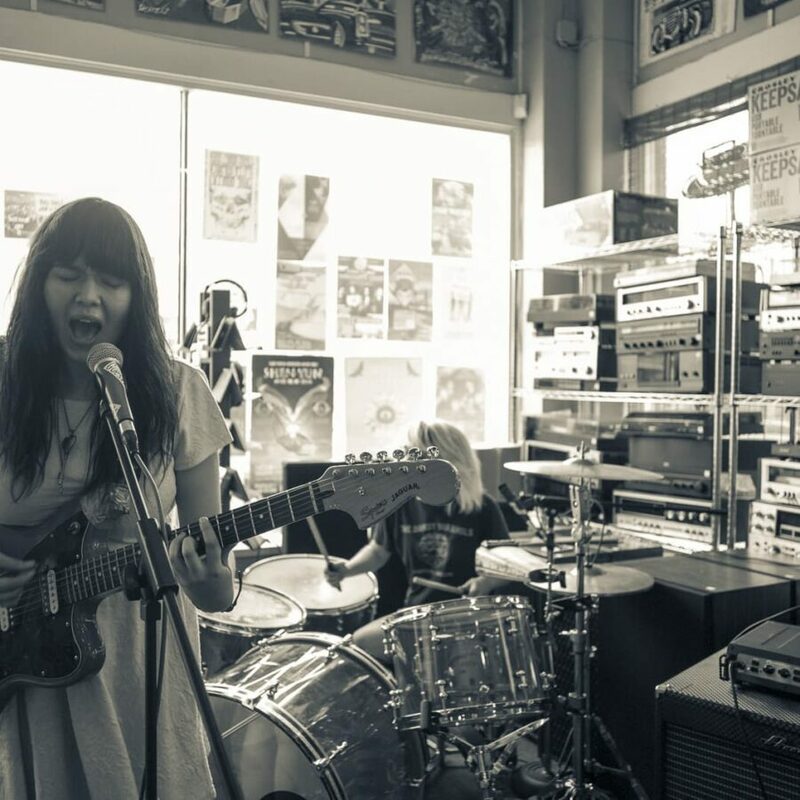 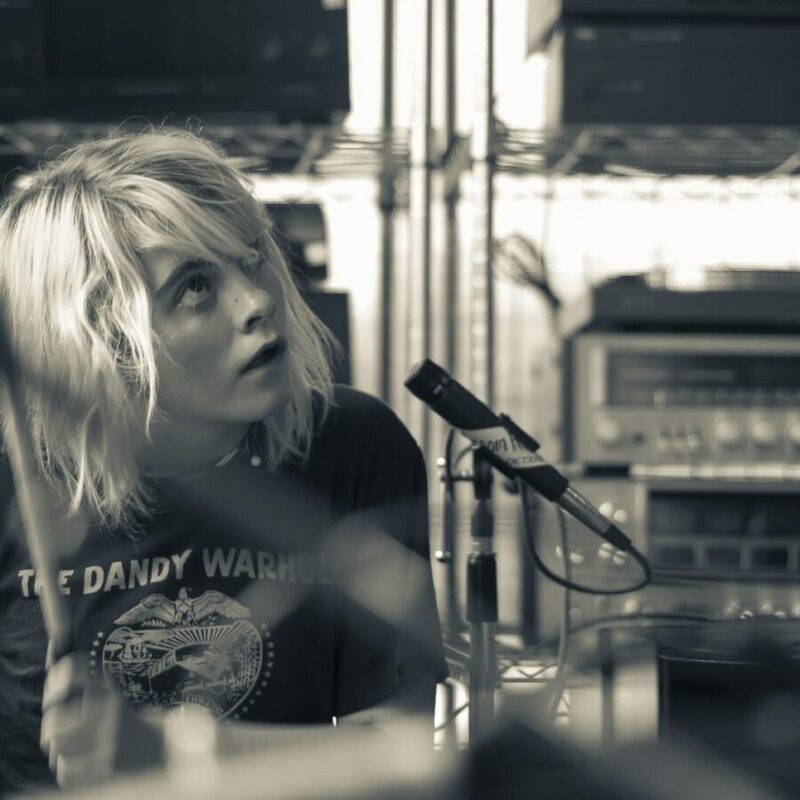 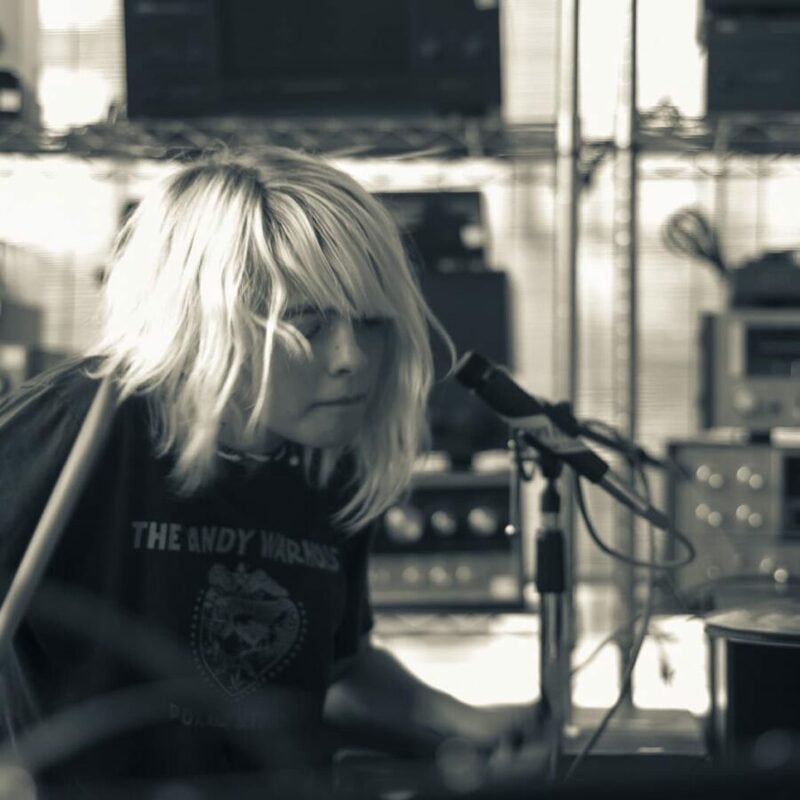 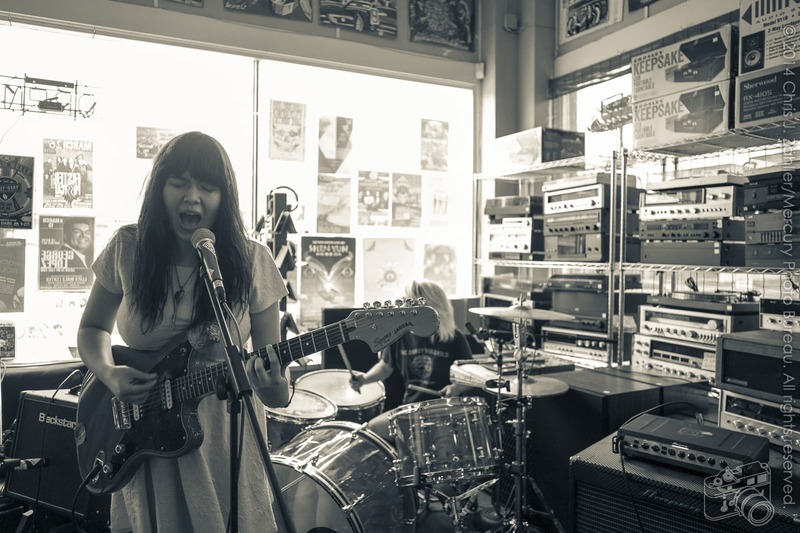 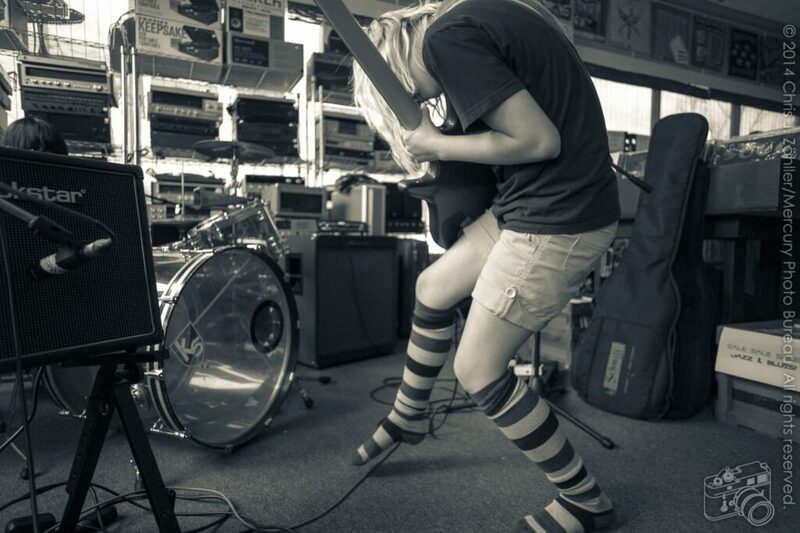 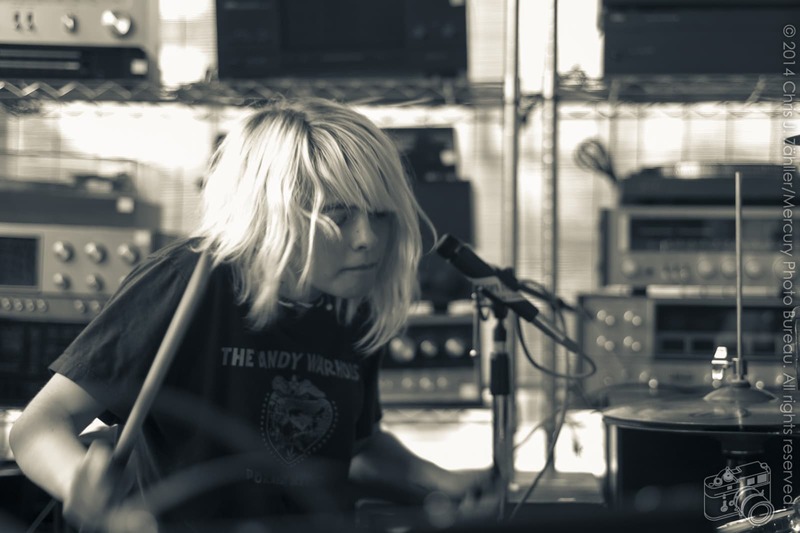 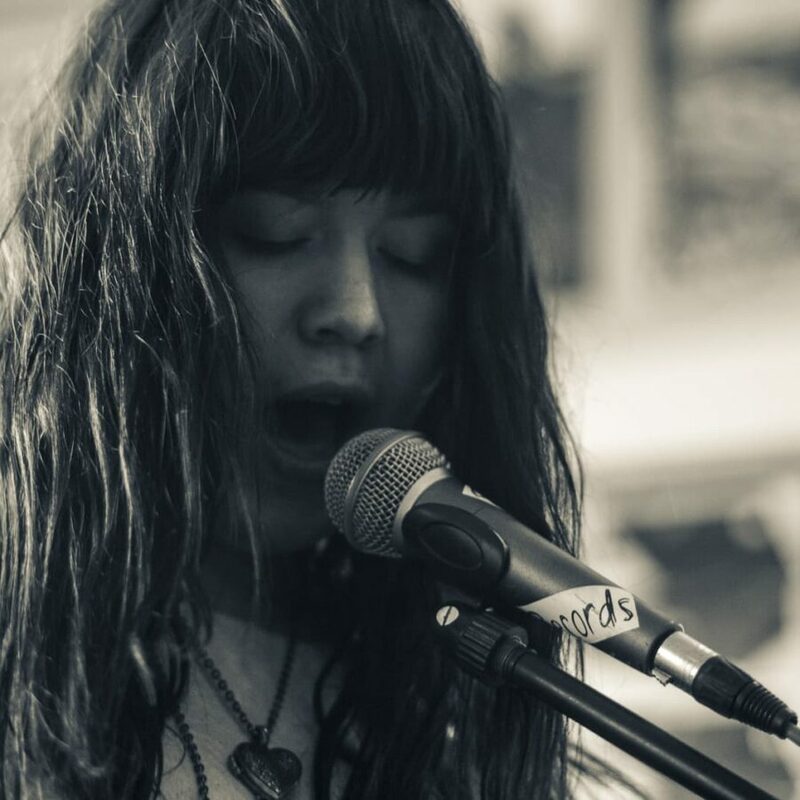 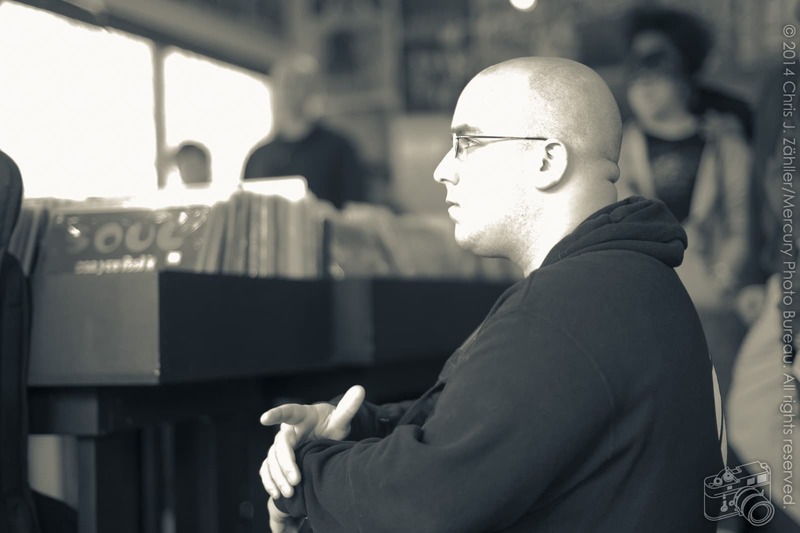 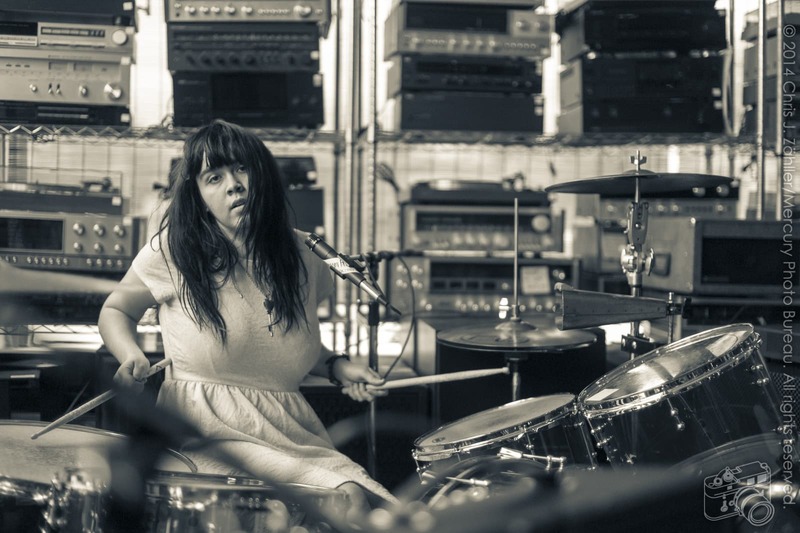 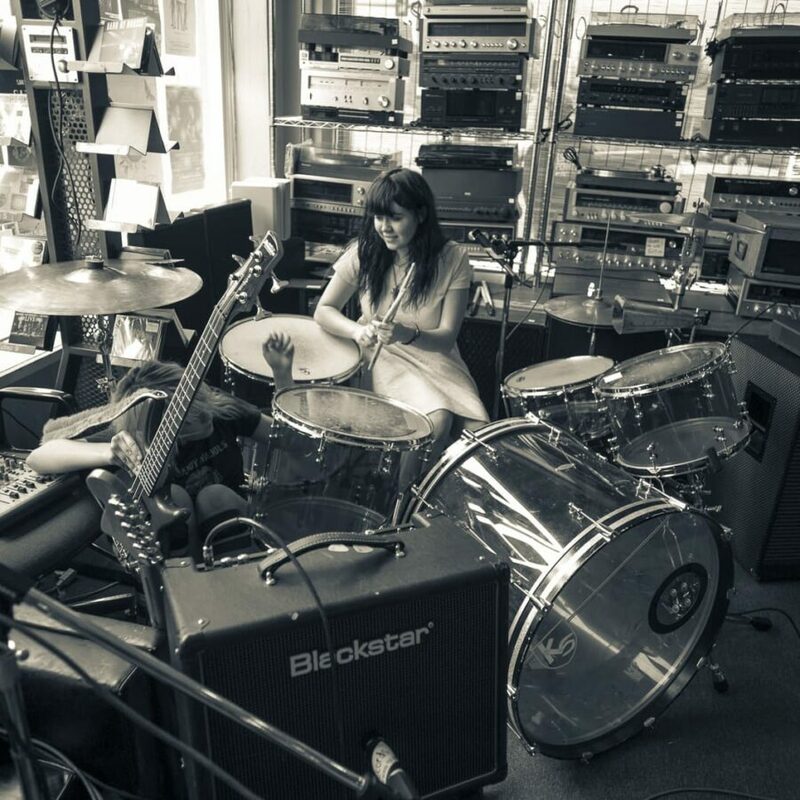 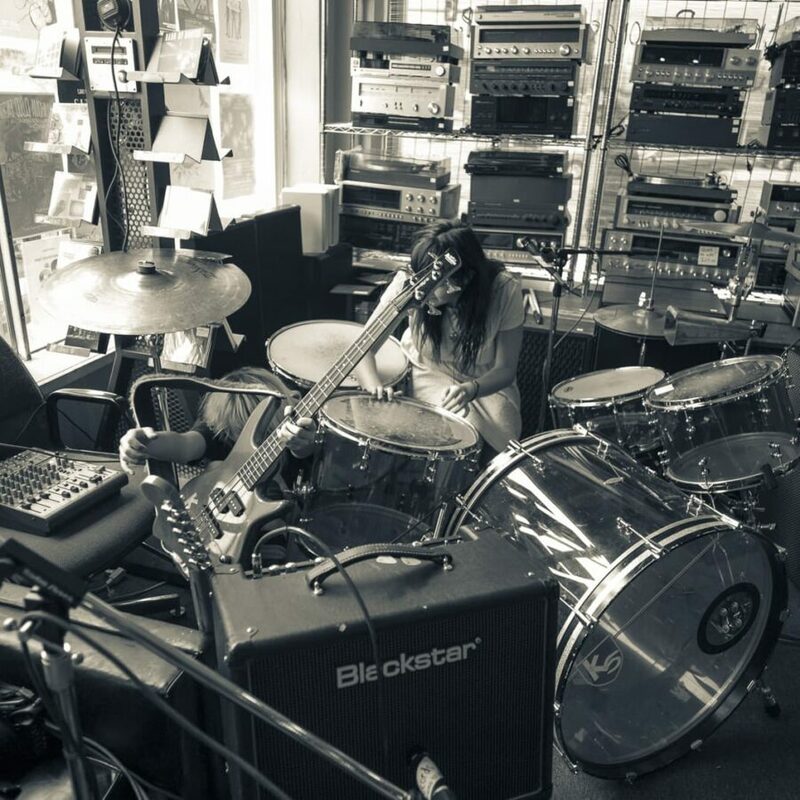 One of Oklahoma’s most antic­i­pated music releases of 2014 dropped 23 February , with the release of Skating Polly’s third full-length album, Fuzz Steilacoom . 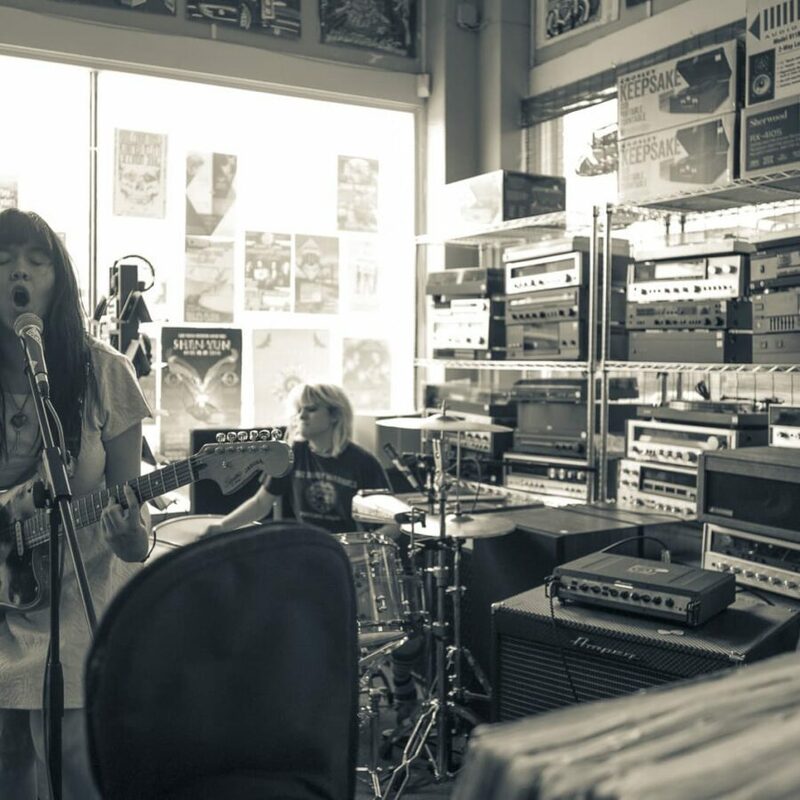 The album is already get­ting many favor­able reviews, and has been in heavy rota­tion here at the Bureau’s offices since we received our pre­view copy. 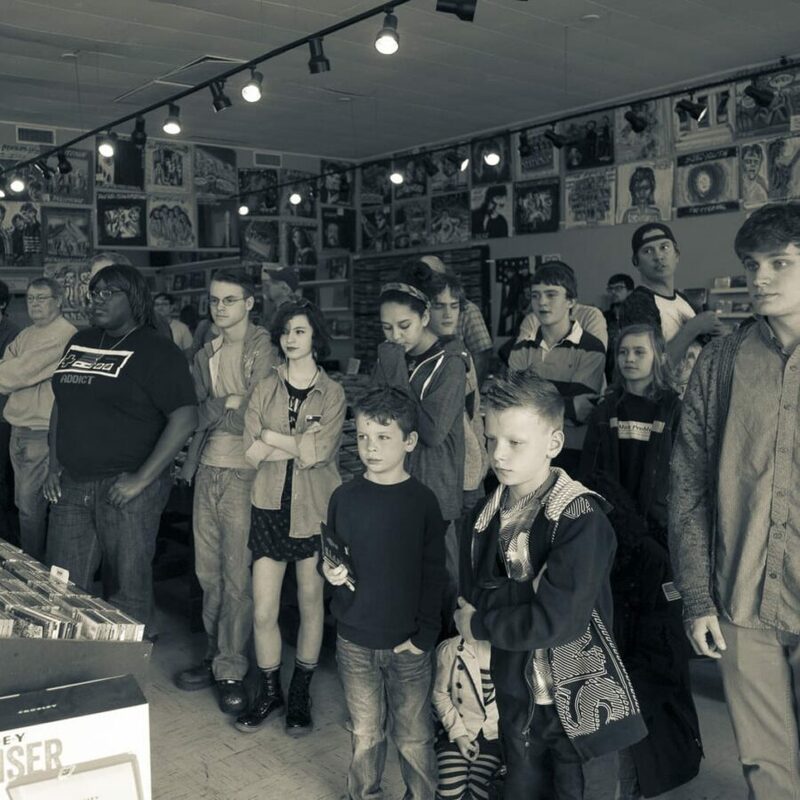 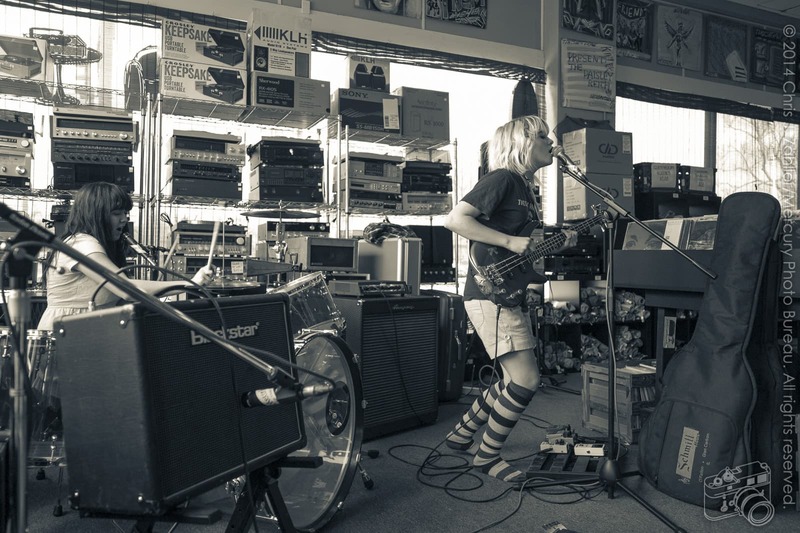 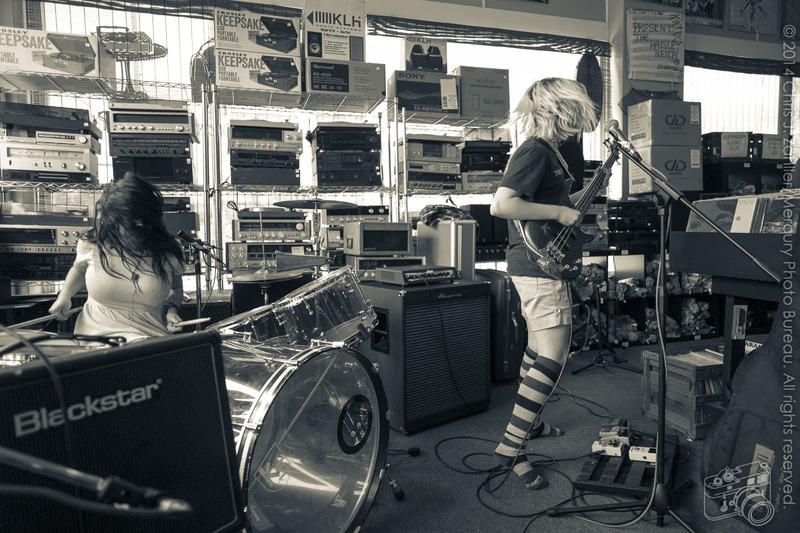 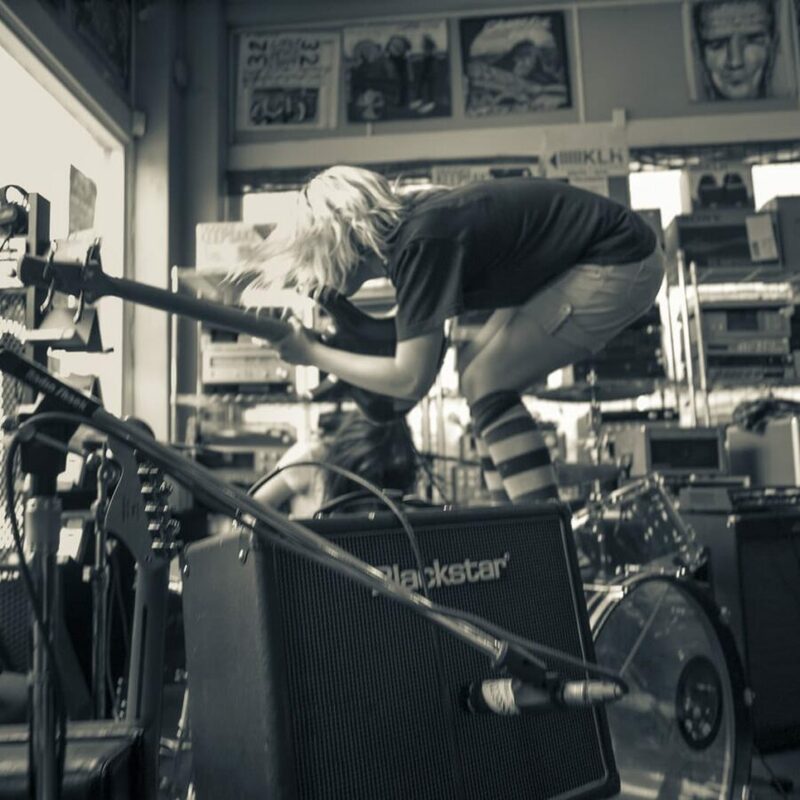 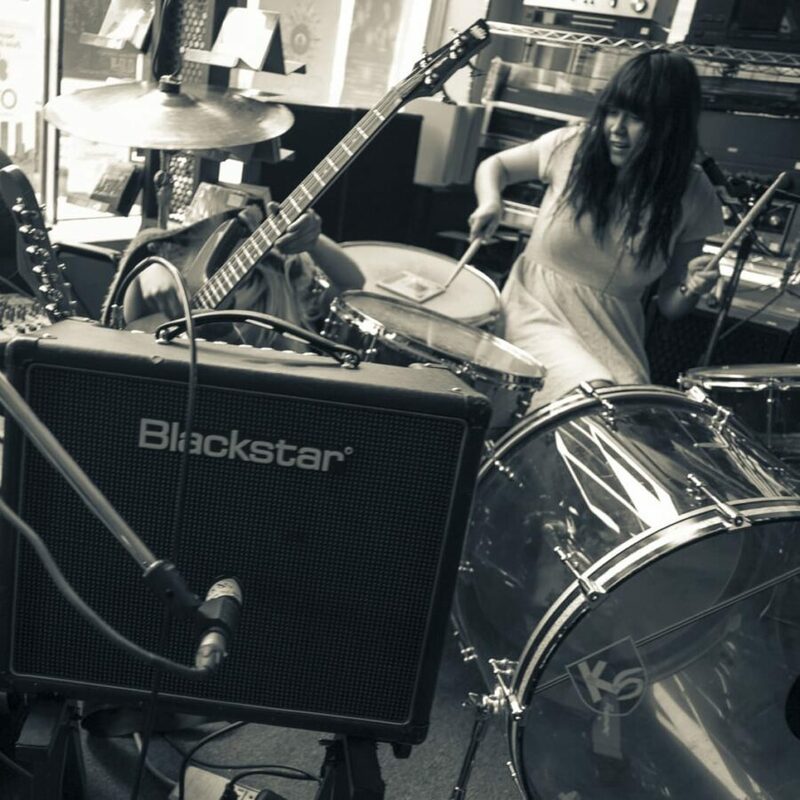 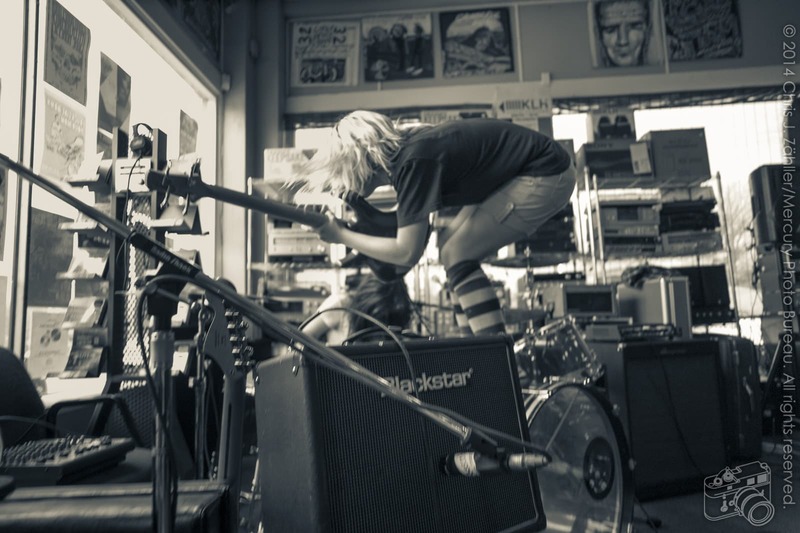 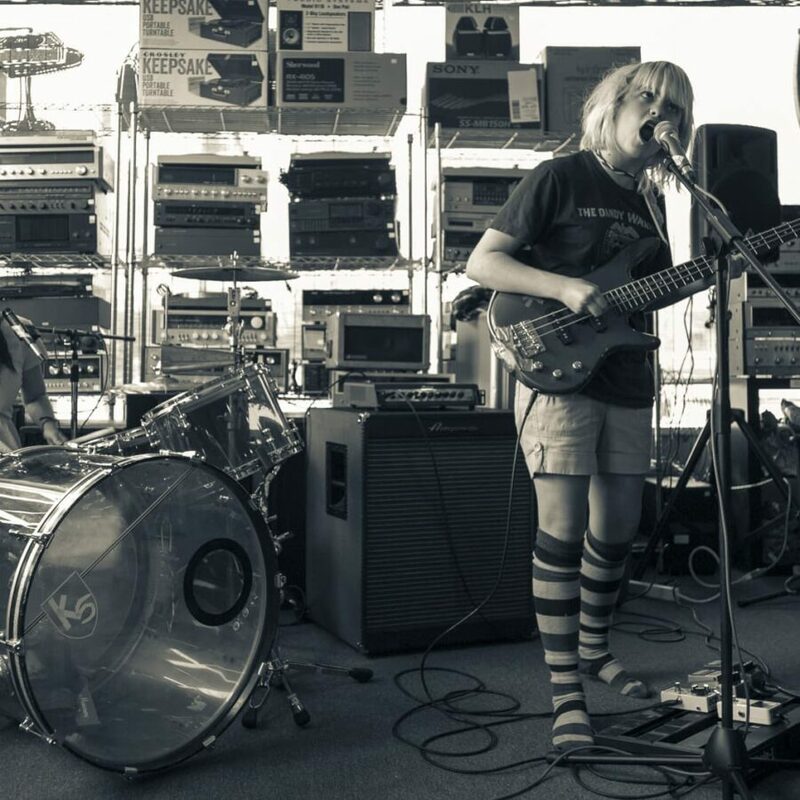 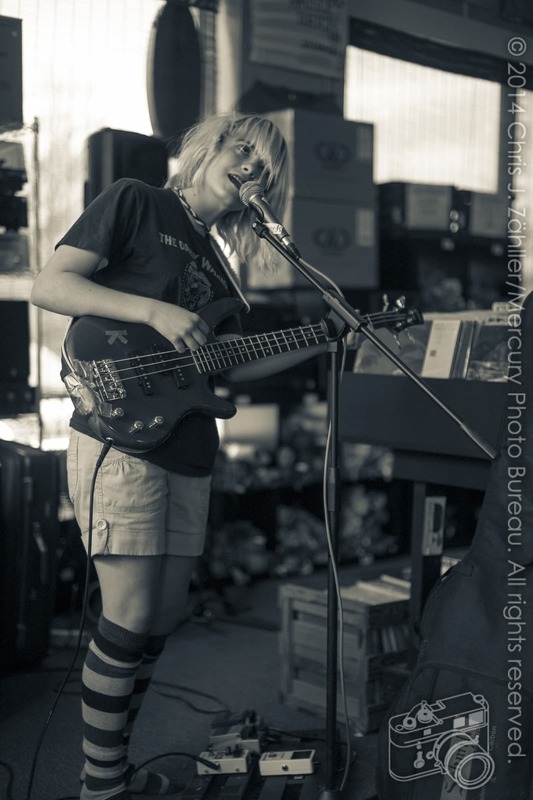 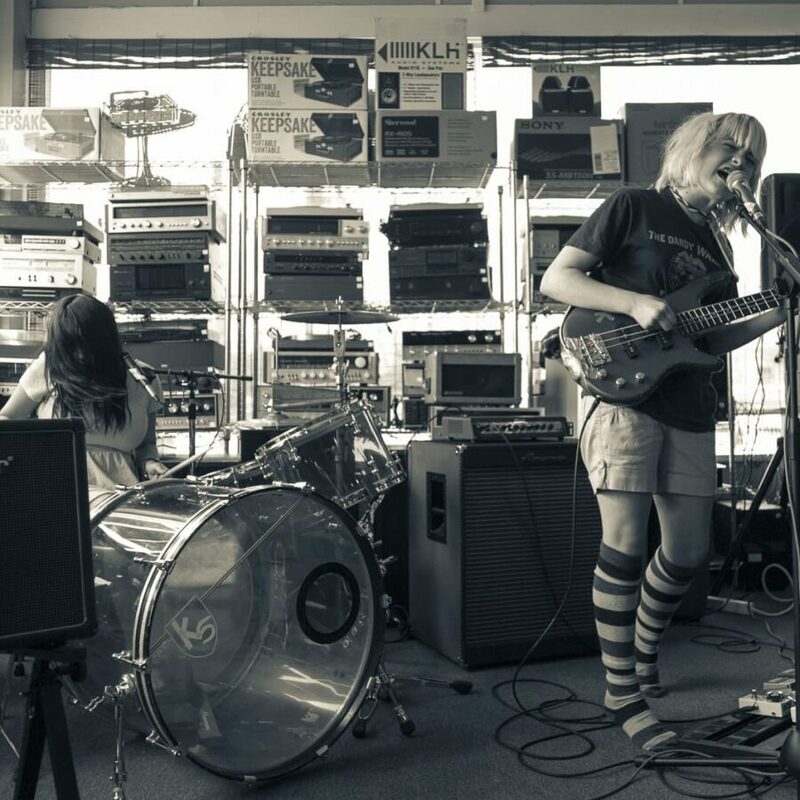 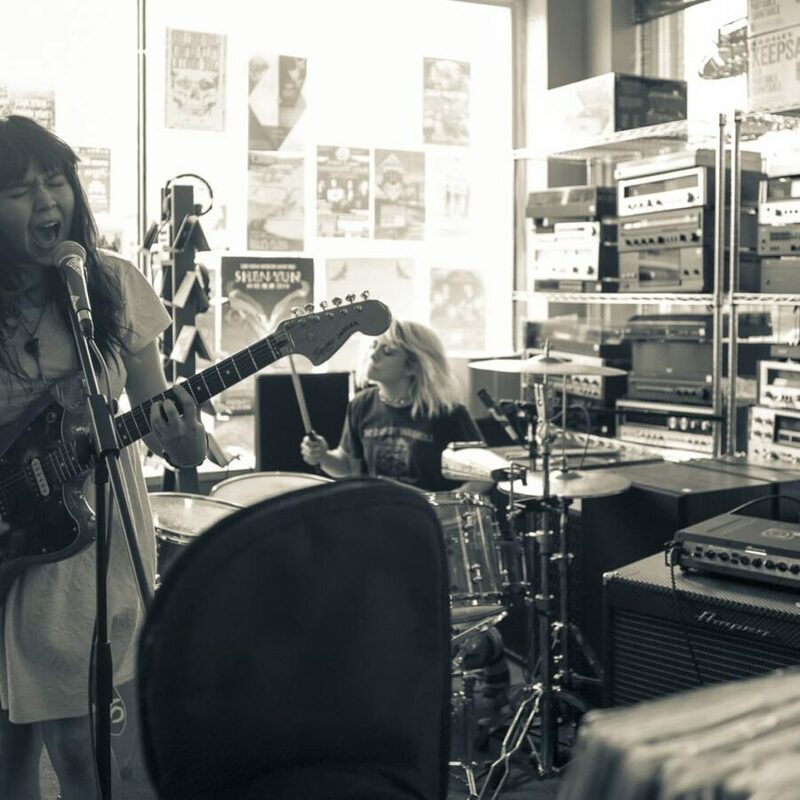 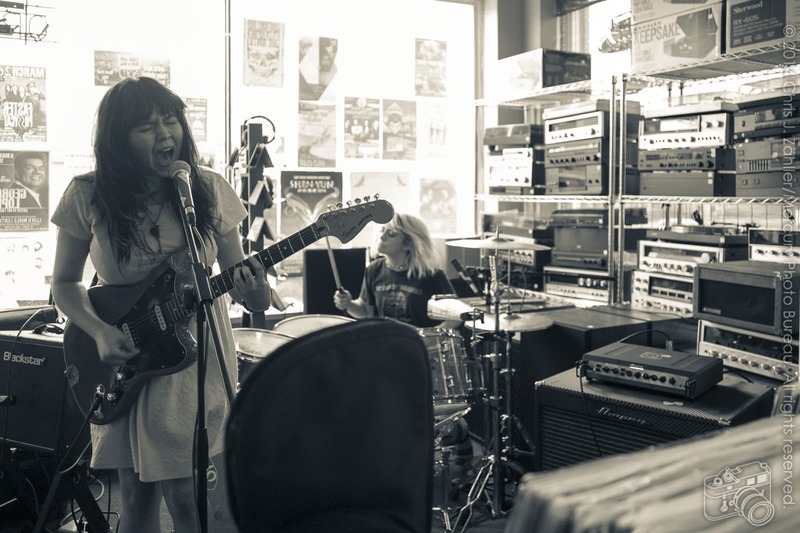 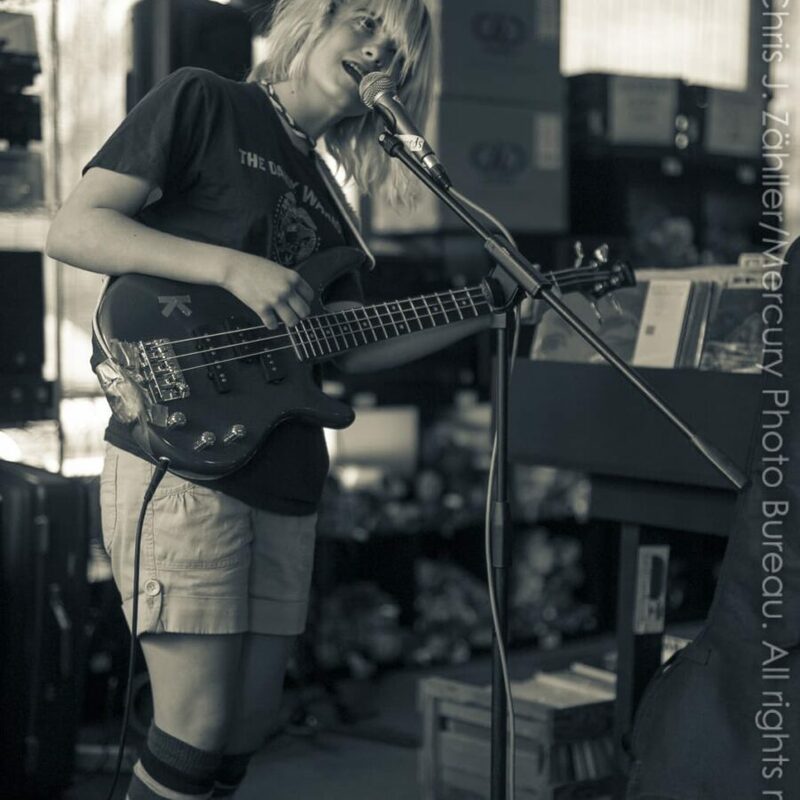 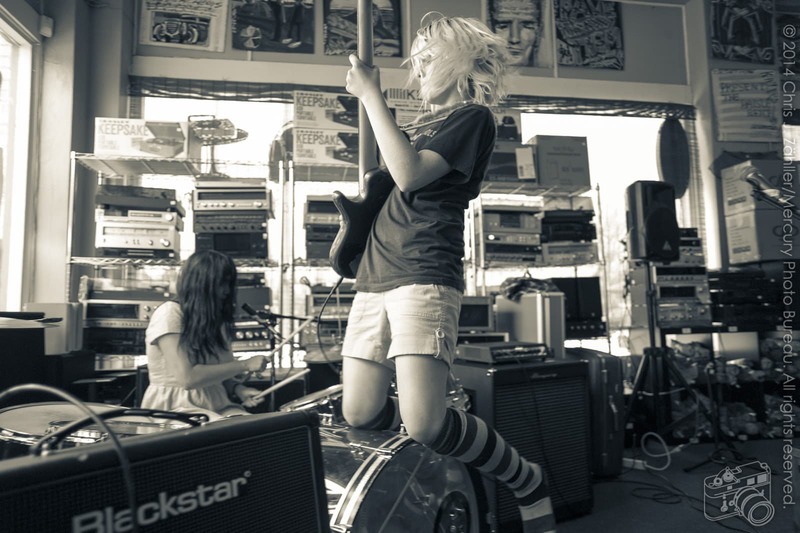 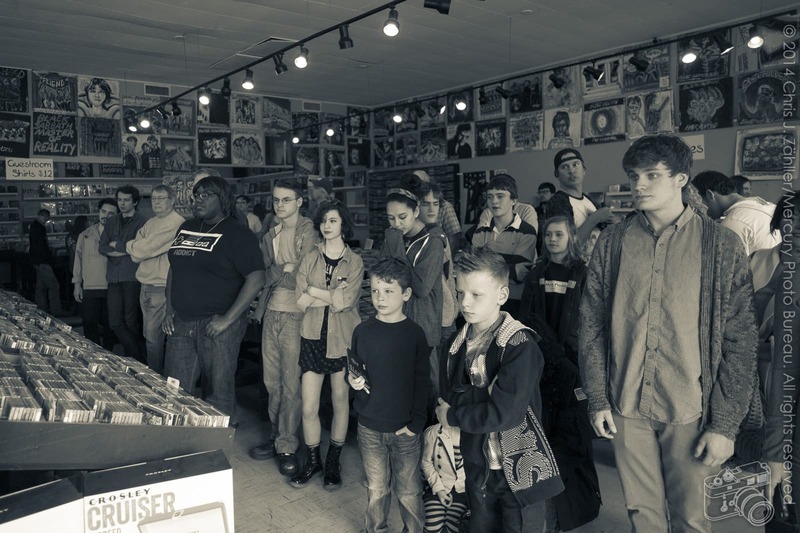 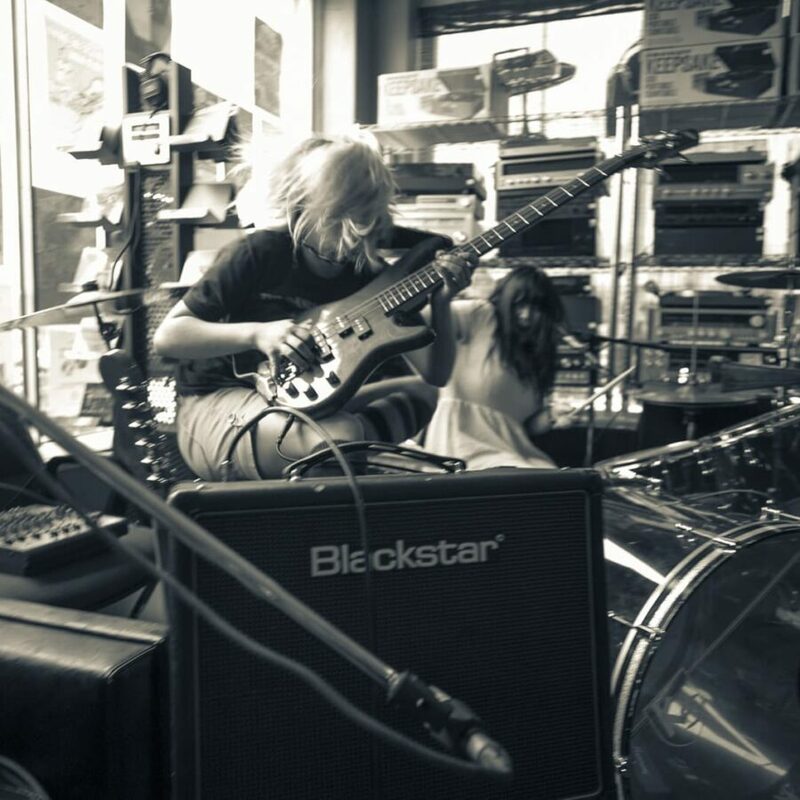 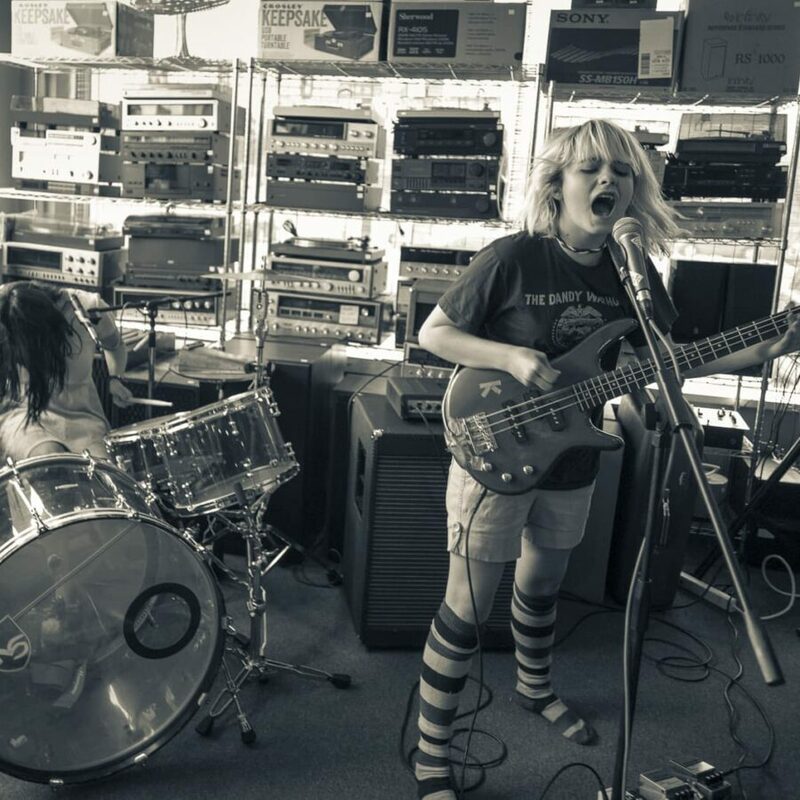 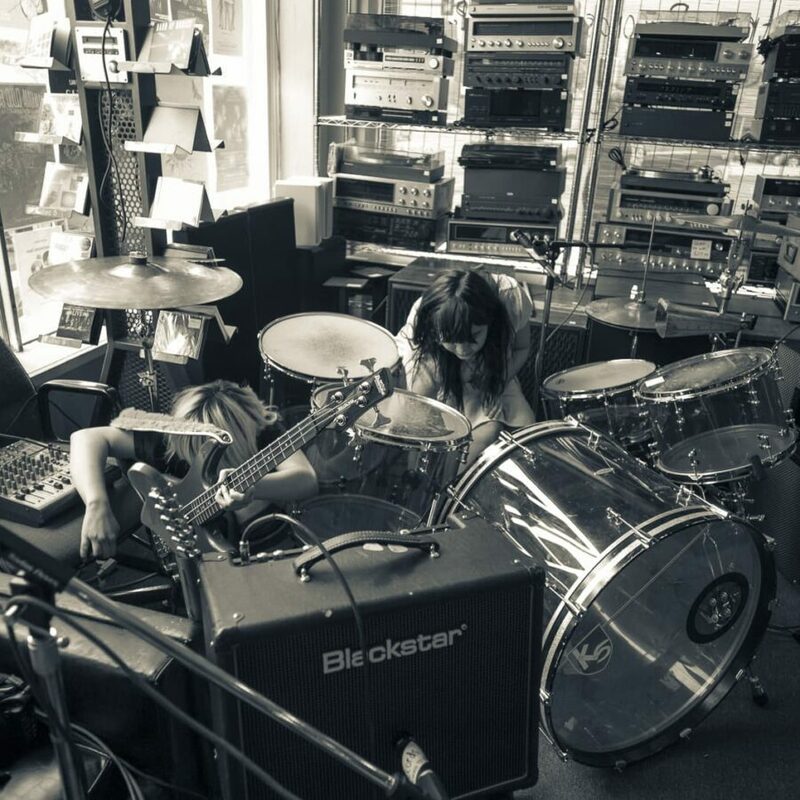 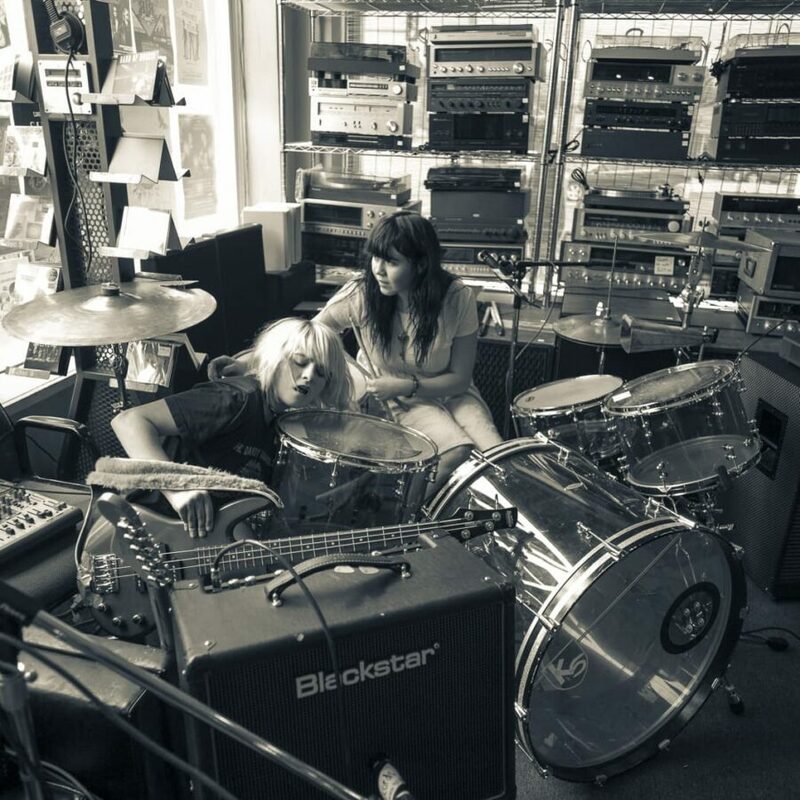 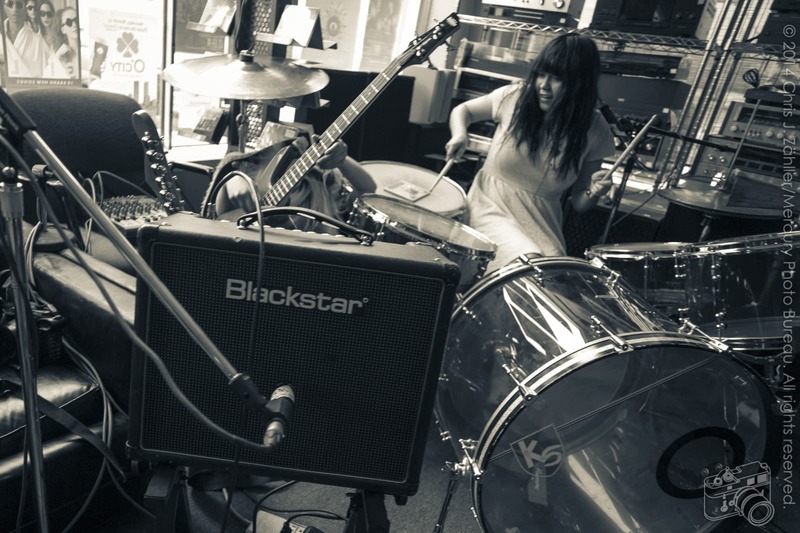 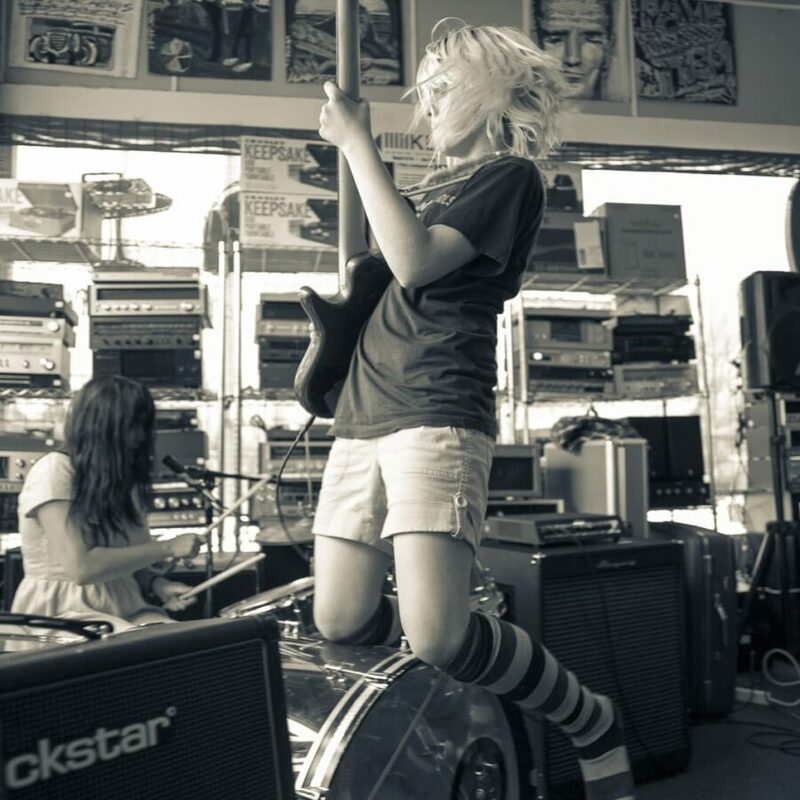 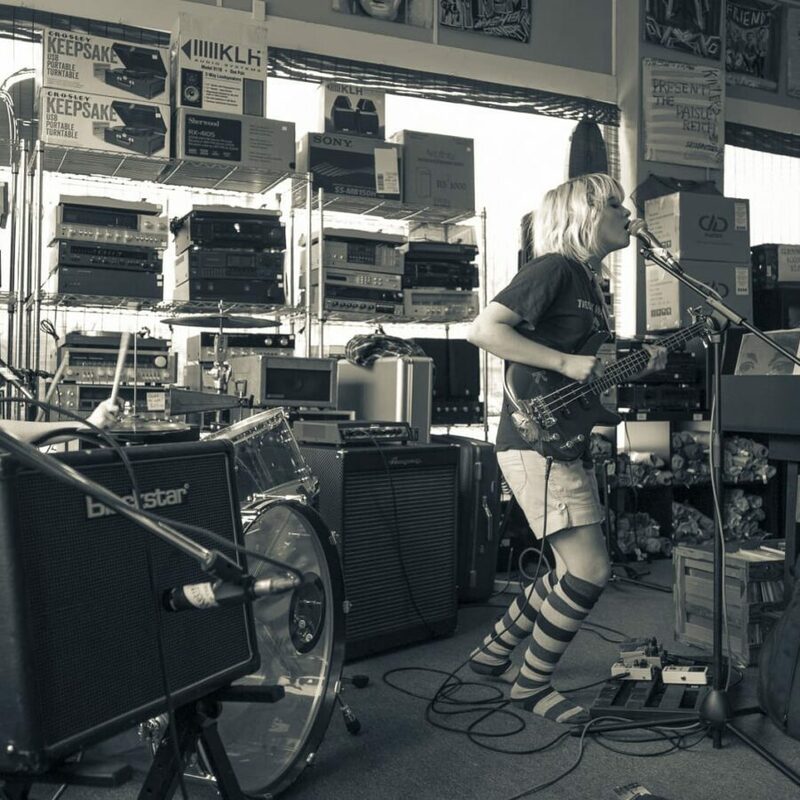 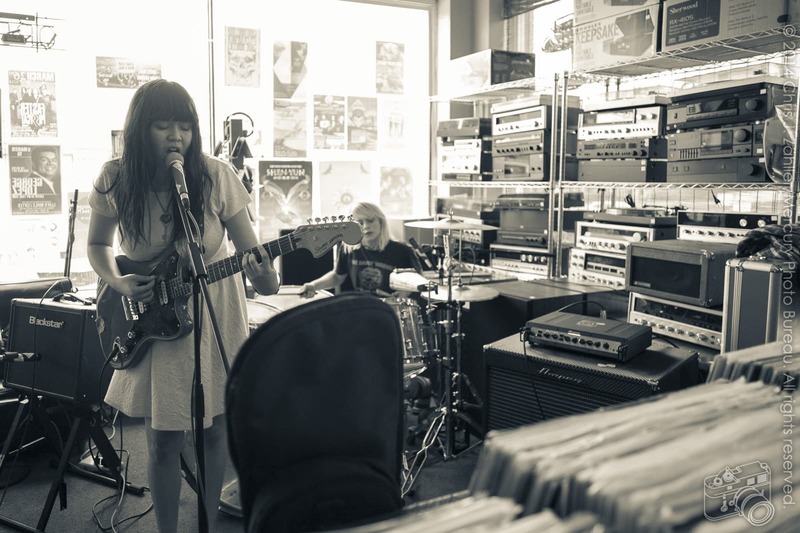 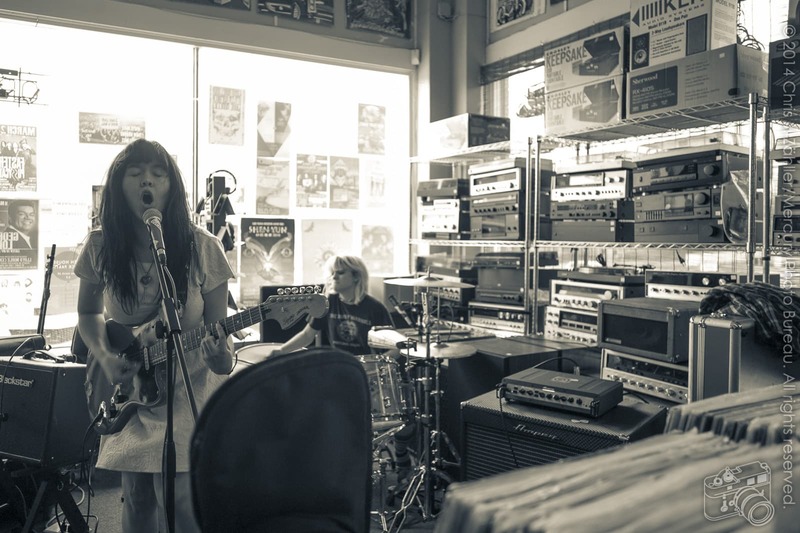 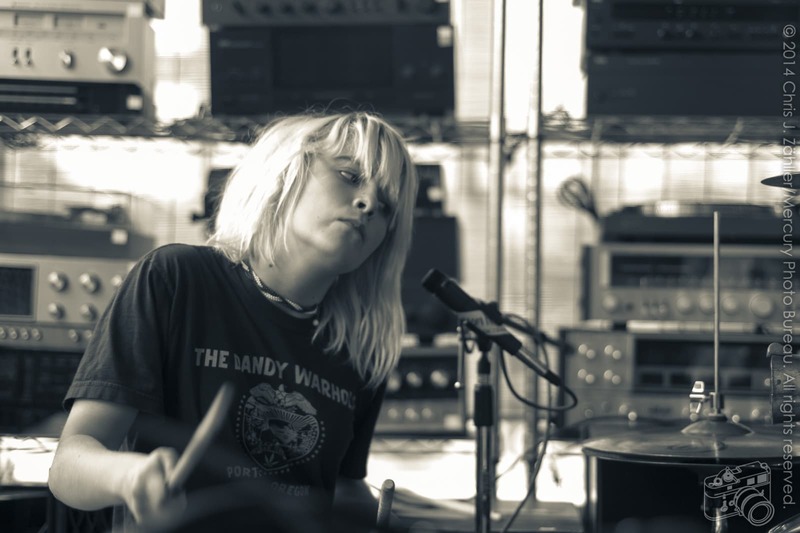 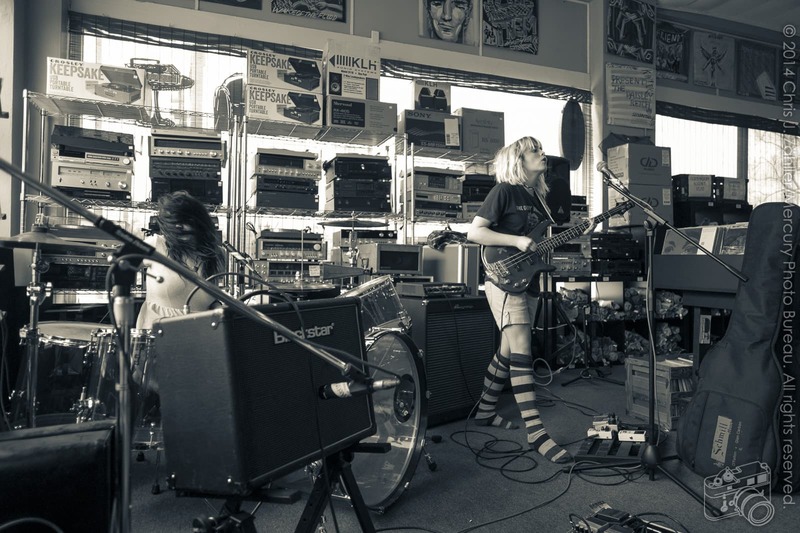 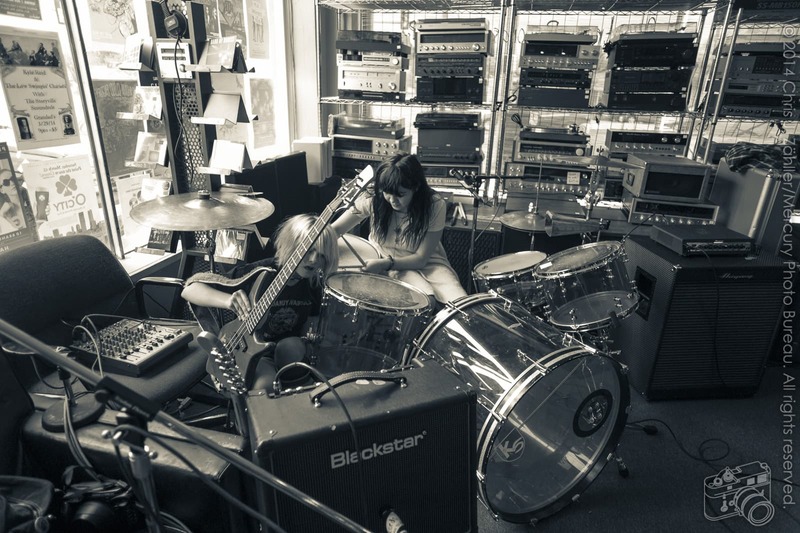 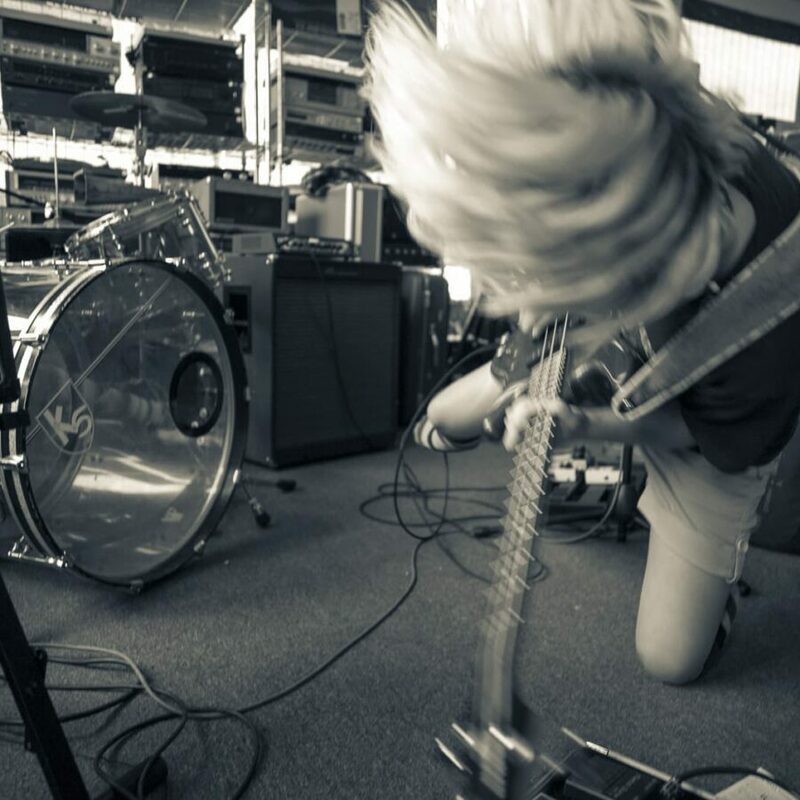 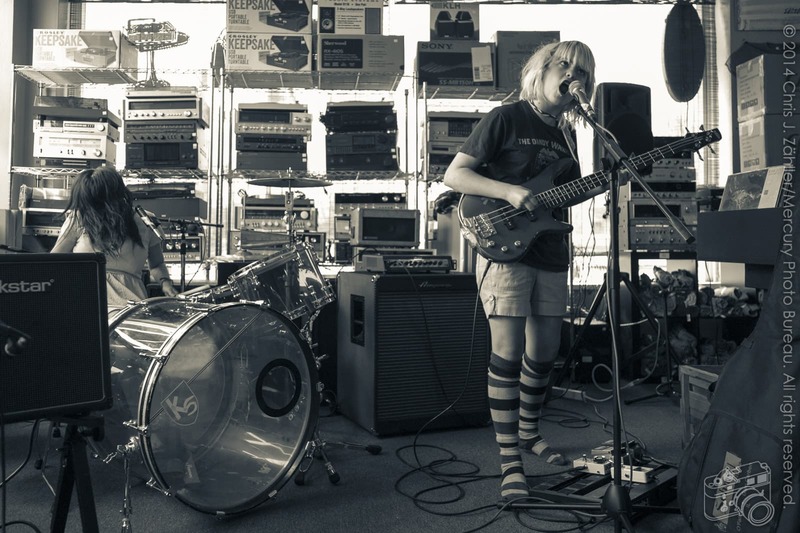 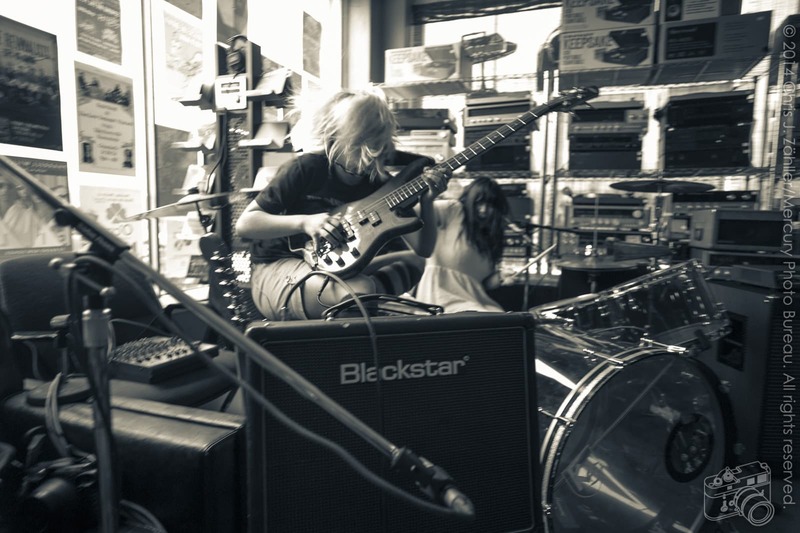 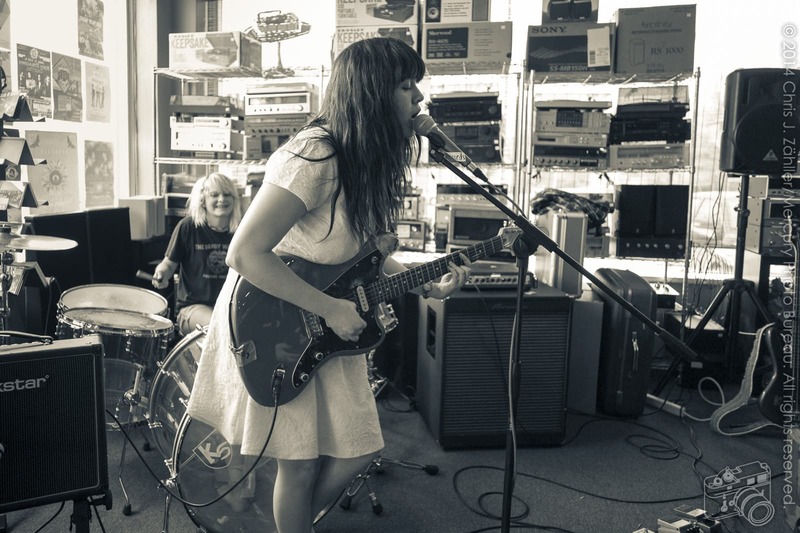 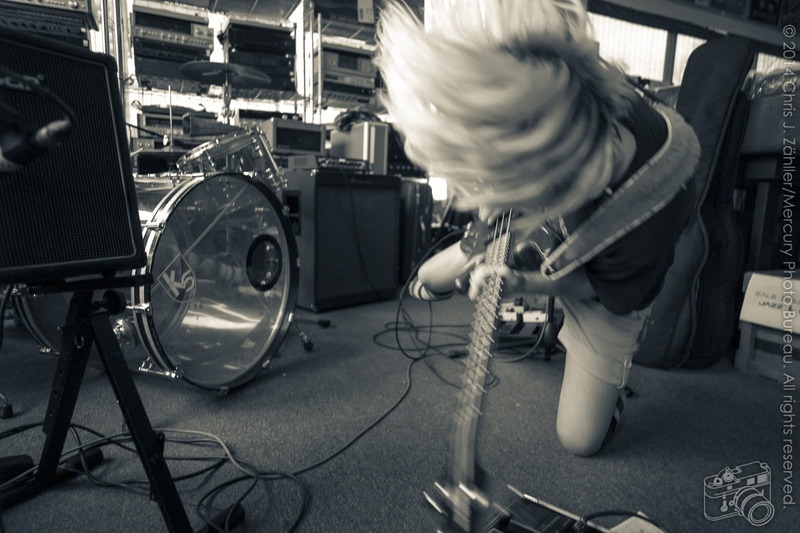 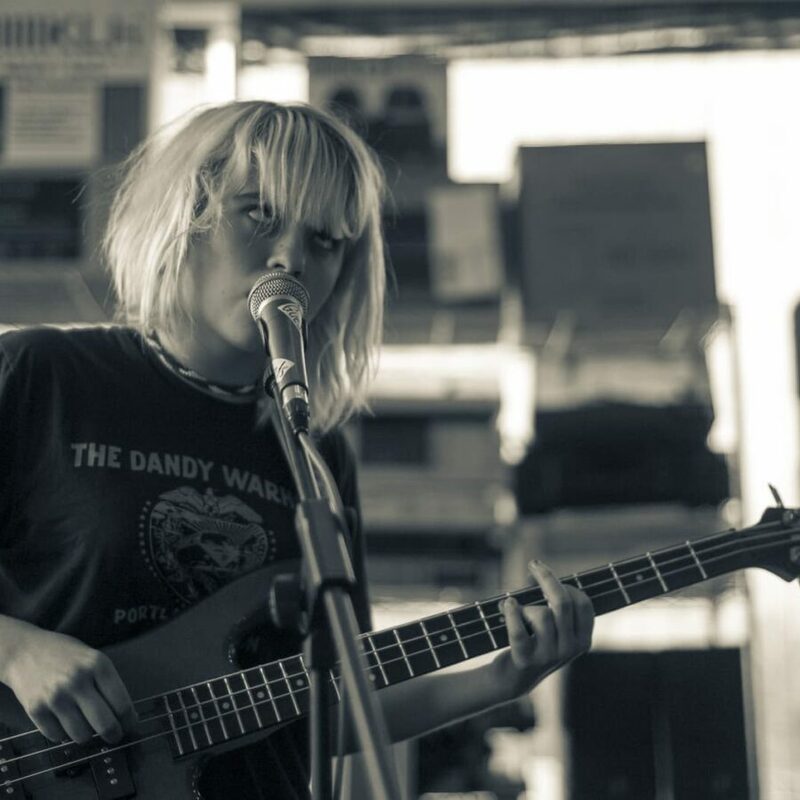 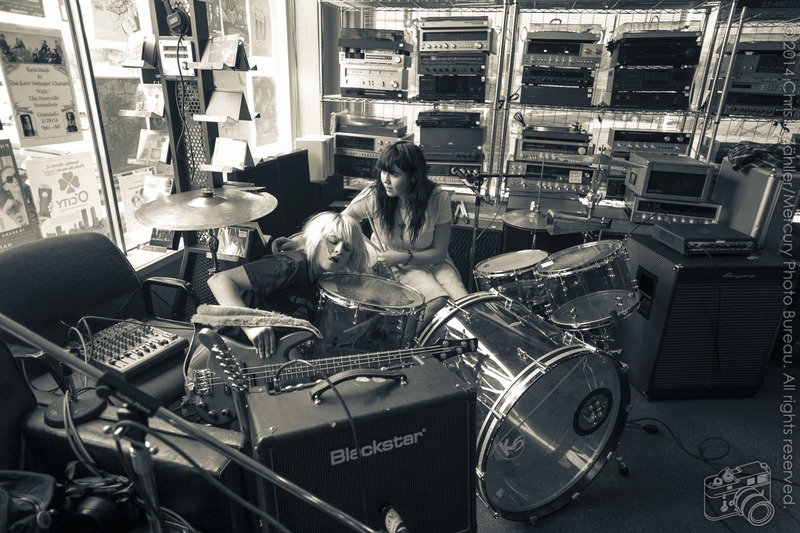 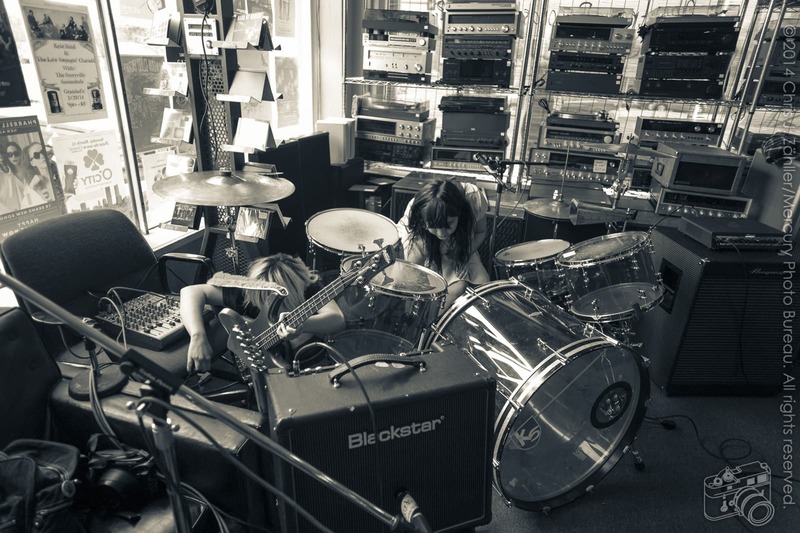 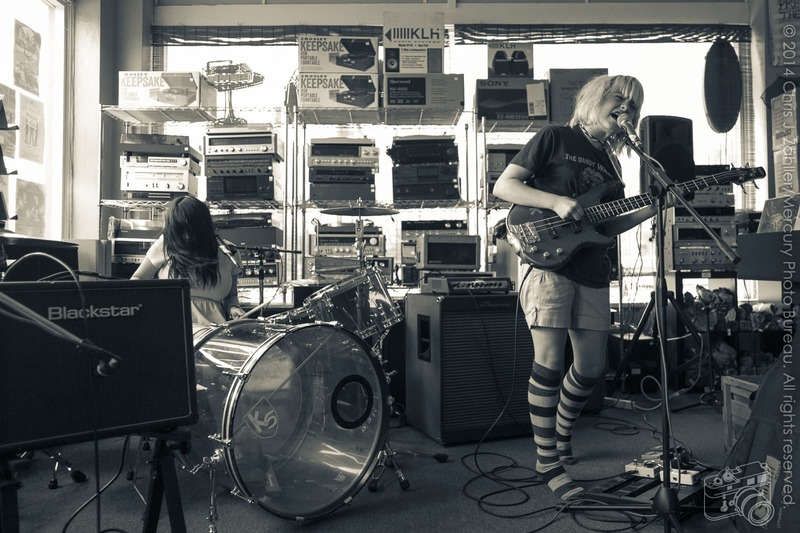 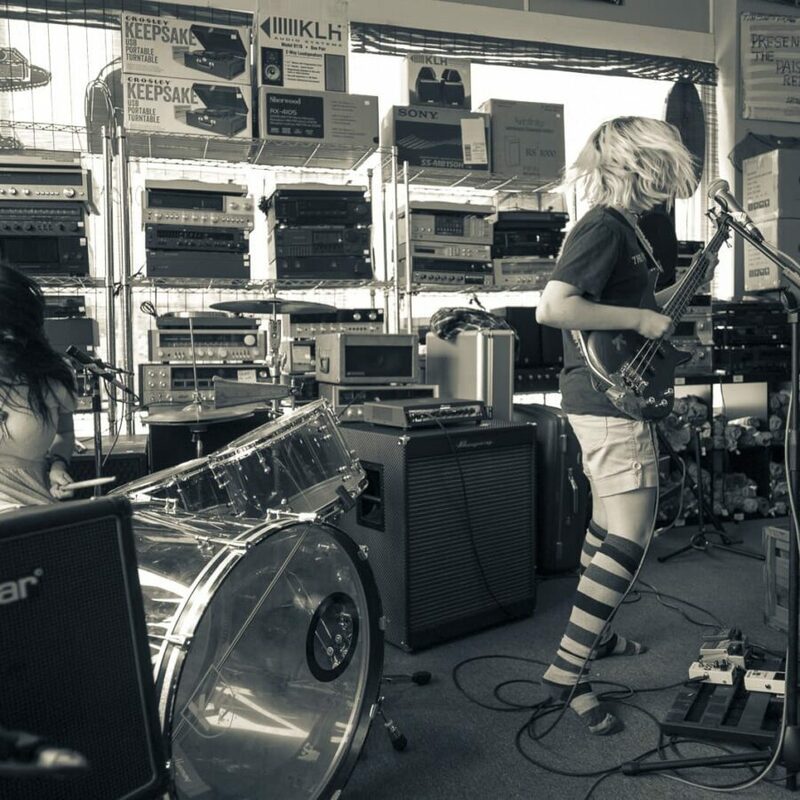 Last Saturday , step­sis­ters Peyton Bighorse and Kelli Mayotook the band to the Oklahoma City Guestroom Records for a spe­cial pre-Record Day show. 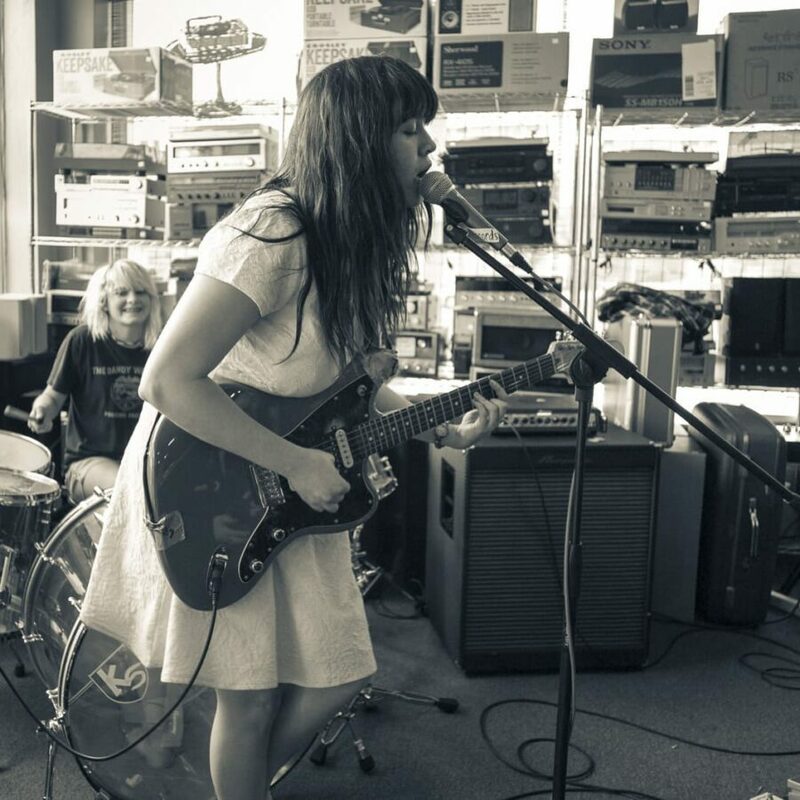 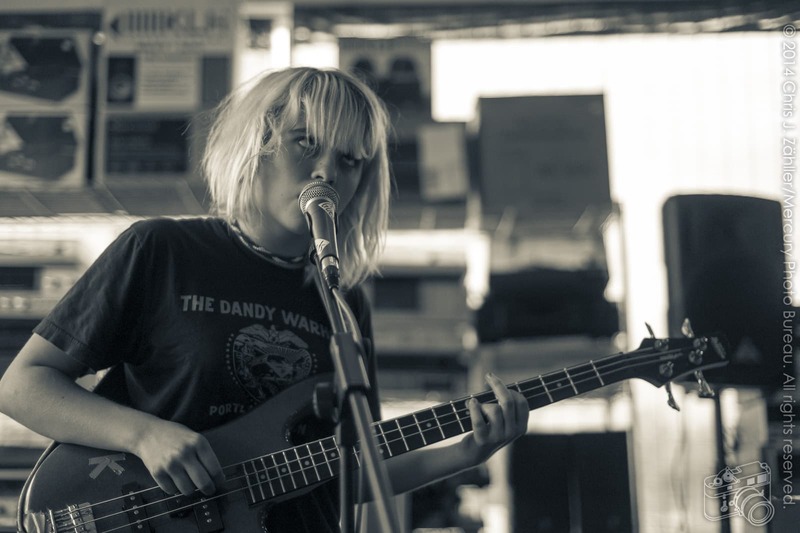 As usual, their per­for­mance was a high-energy, take-no-prisoners affair that ended with Kelli bounc­ing all over the tiny stage with her custom-made basitar ﻿ /ˈbæs-ɪ-tɑr/: a 3-stringed guitar-bass hybrid.. 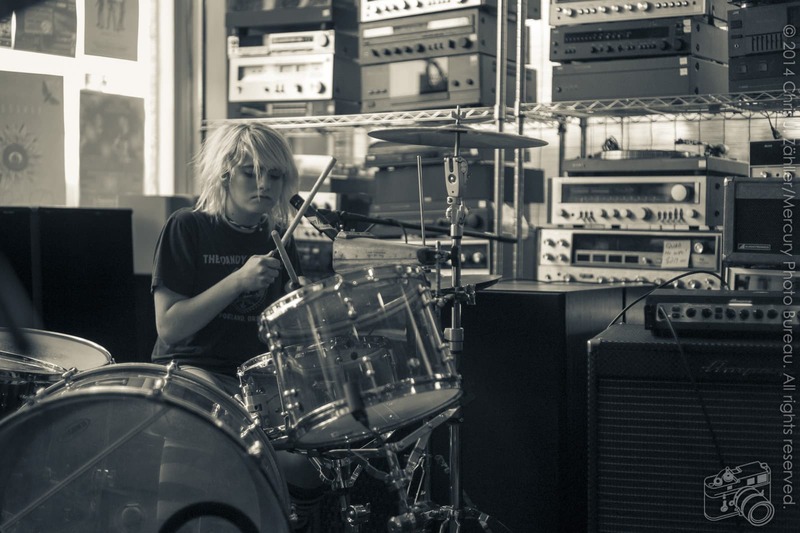 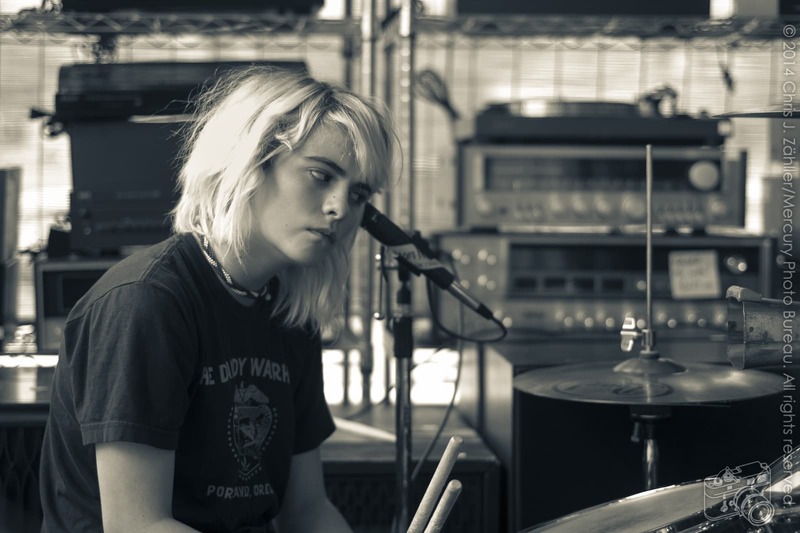 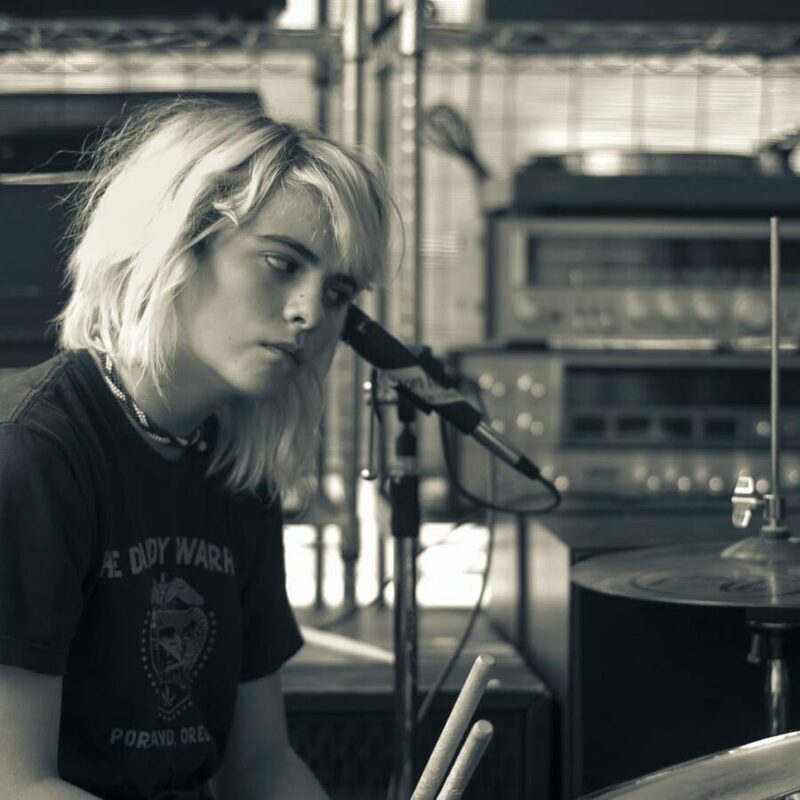 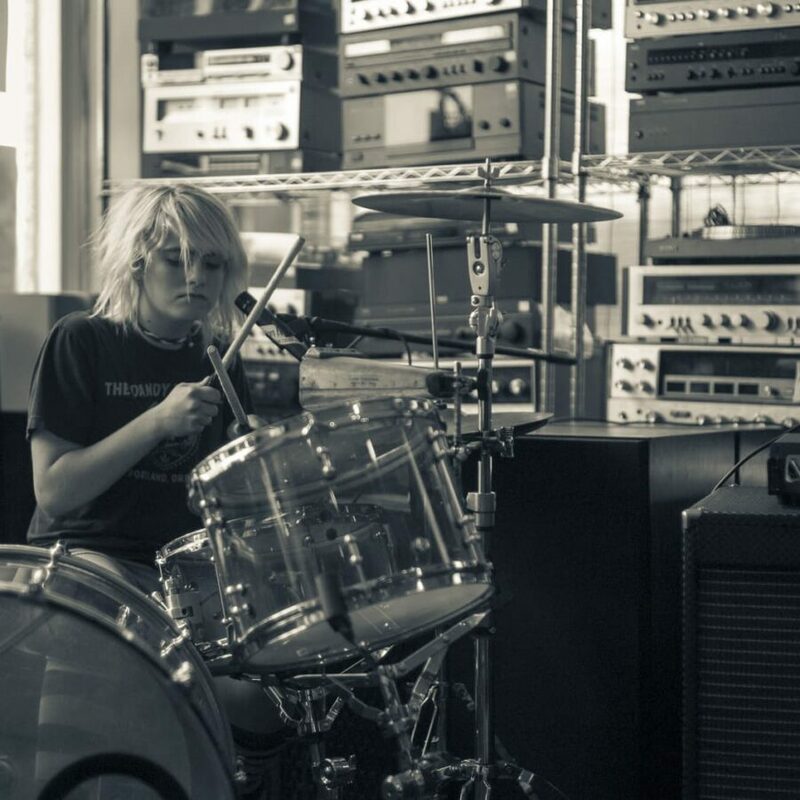 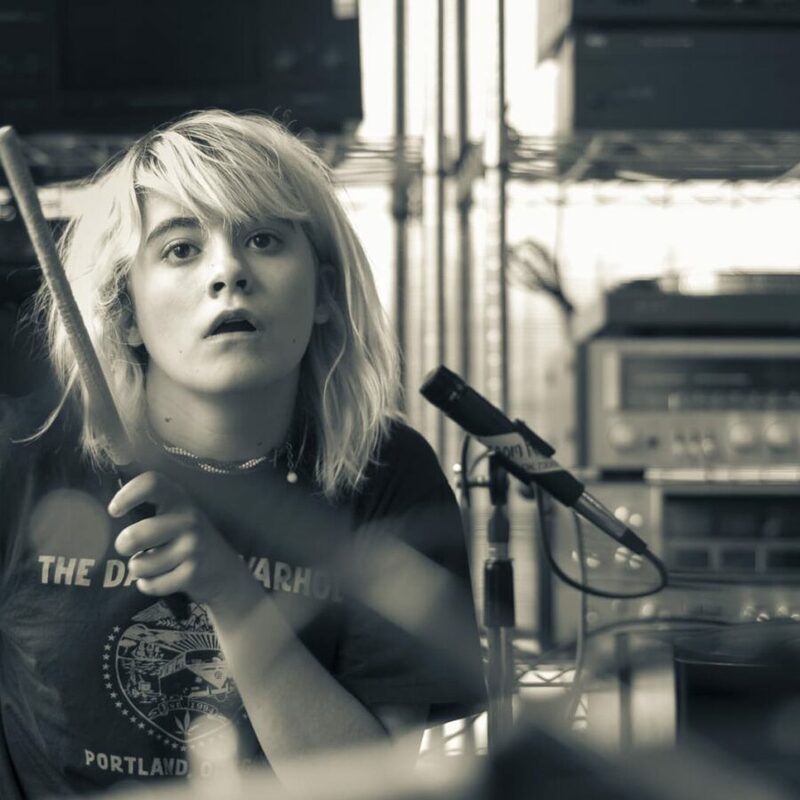 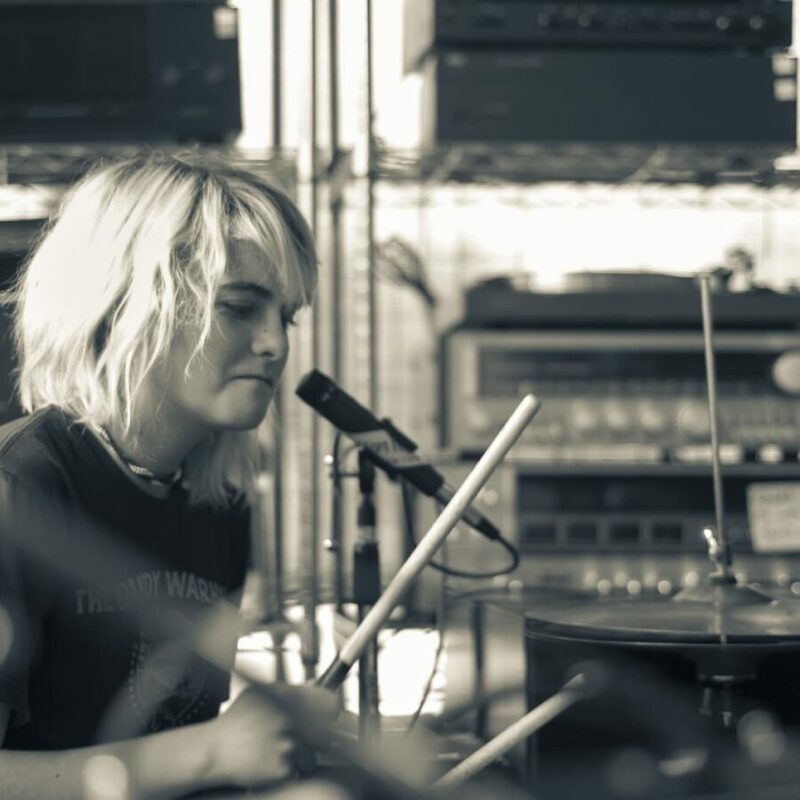 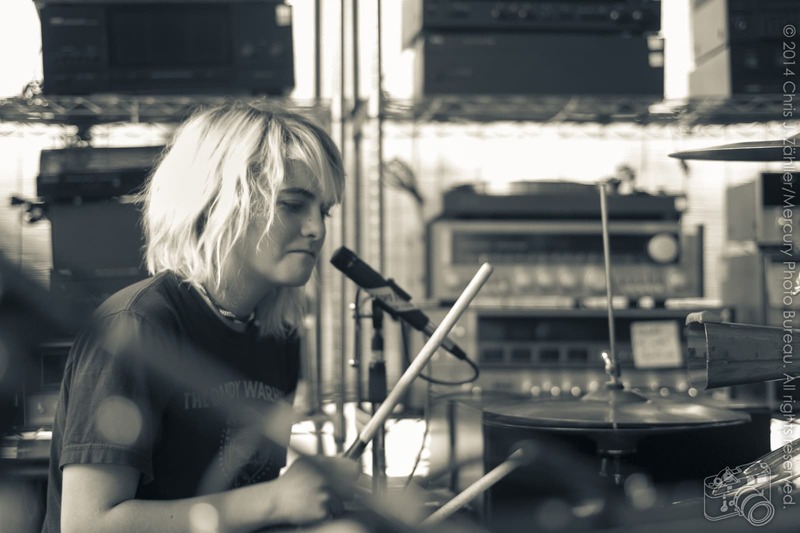 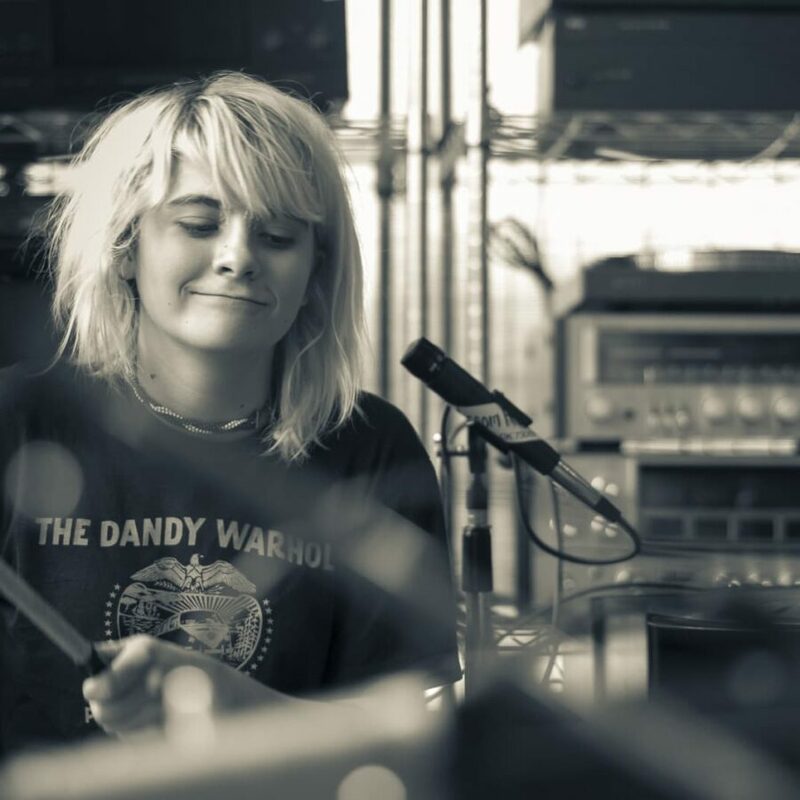 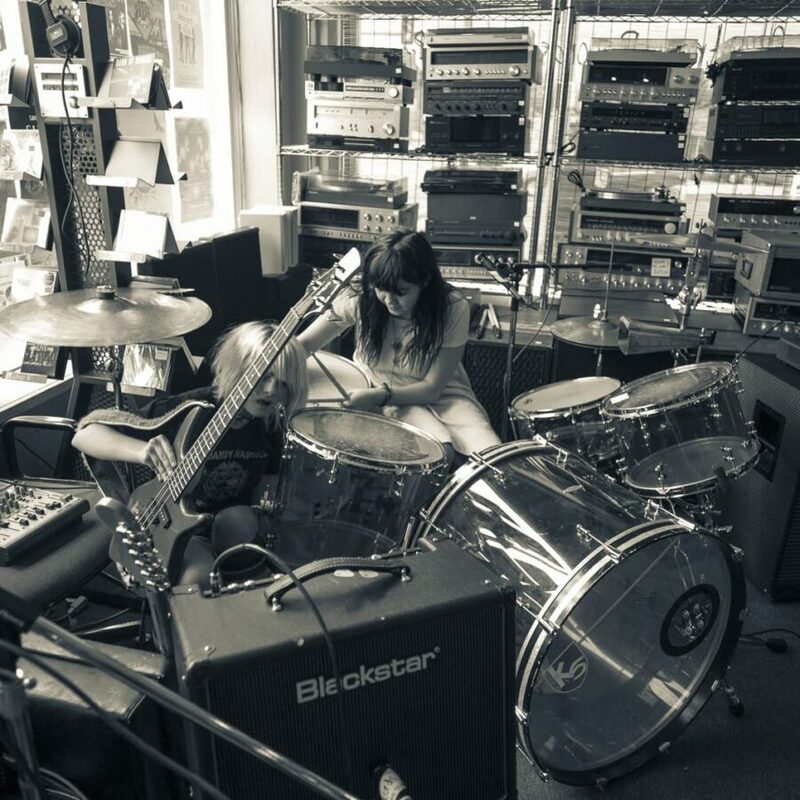 While she didn’t end up crowd-surfing (as she recently did at the 2nd annual Teenage Kicks ben­e­fit show orga­nized by Peyton and Kelli, she did climb onto the kick drum twice. 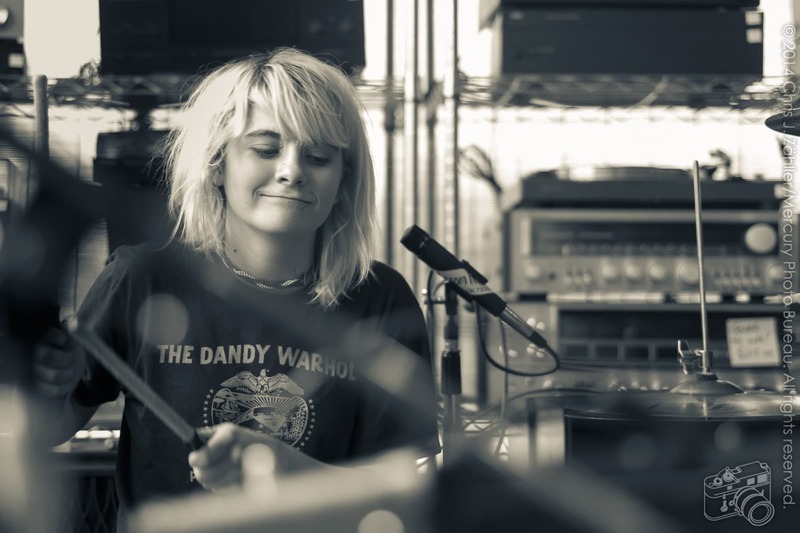 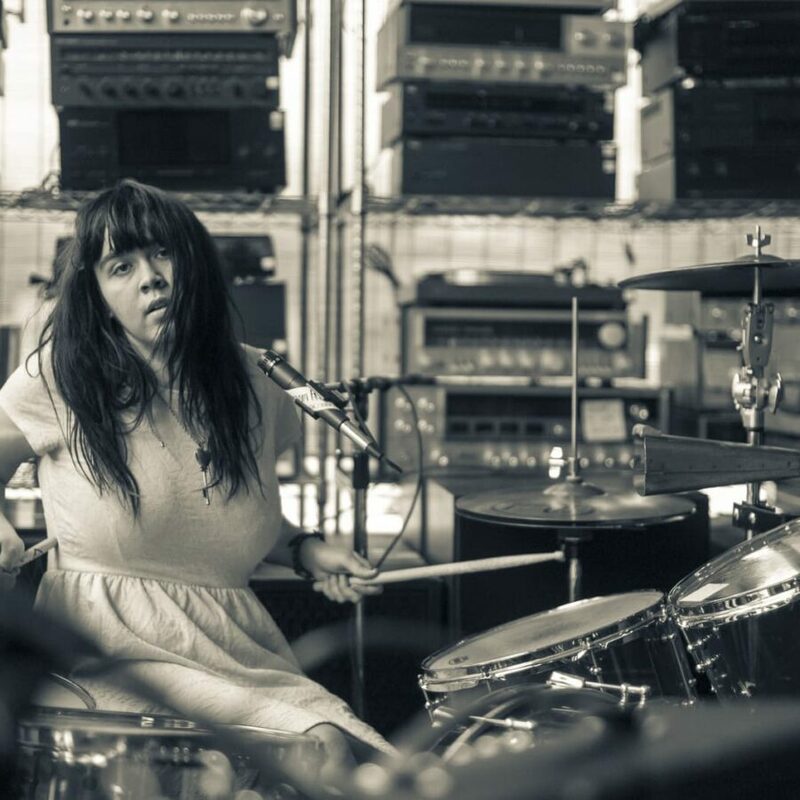 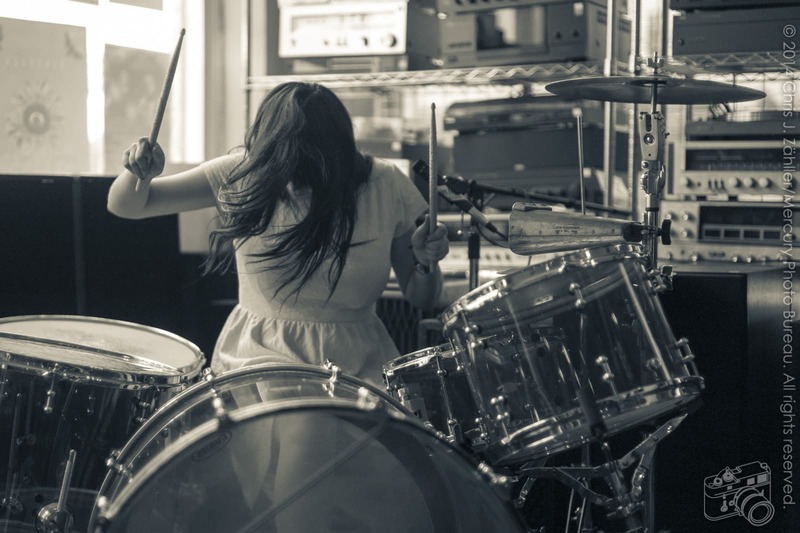 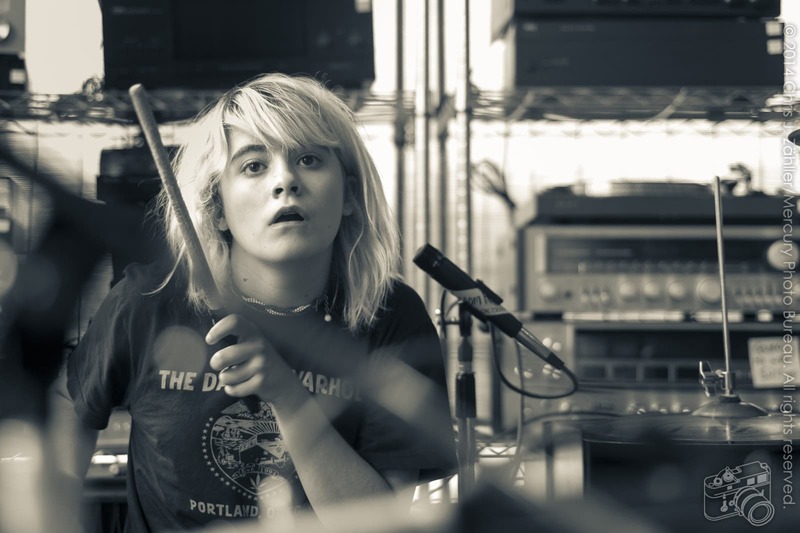 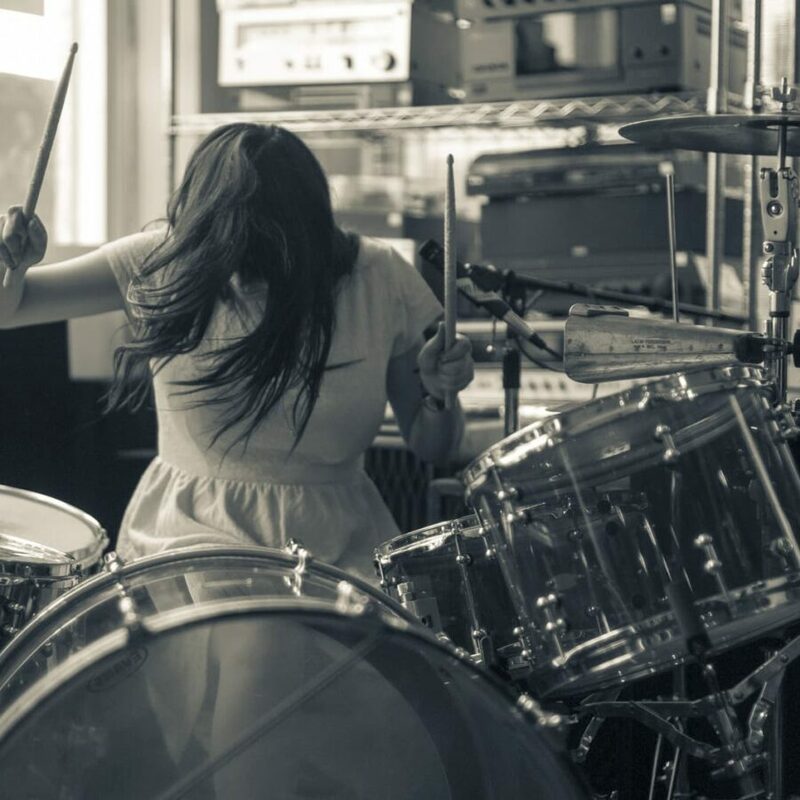 Unfortunately, she hadn’t thought about where she was going to land the 2nd time and fell back­ward behind the kit, bring­ing the show to a very excit­ing end. 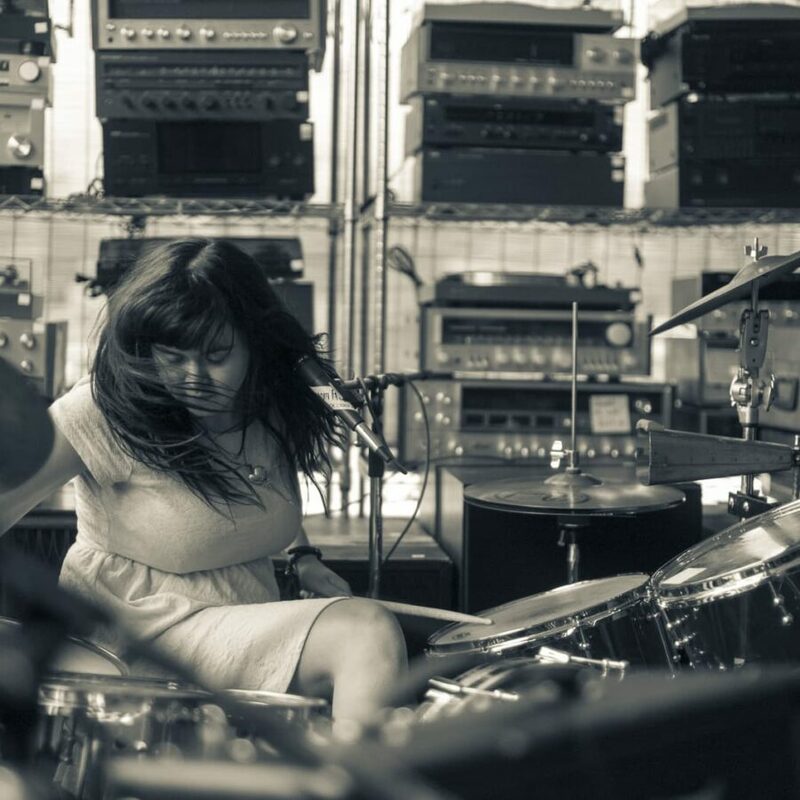 Although she didn’t stick the land­ing, Kelli was not hurt. 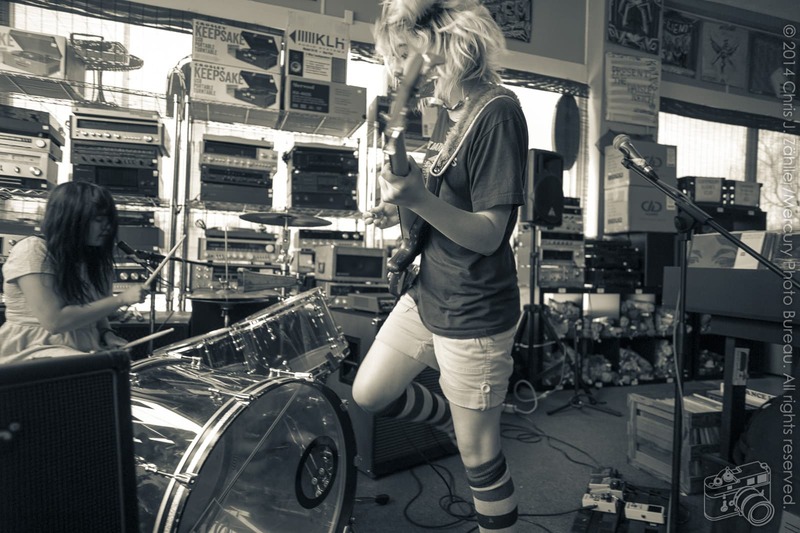 You can see more pic­tures of Skating Polly, read our exclu­sive inter­view, and see video excerpts from that inter­view in our archive Also, check out this cool GIF of Kelli’s stunt made by the great Doug “Dougonious” Schwarz. 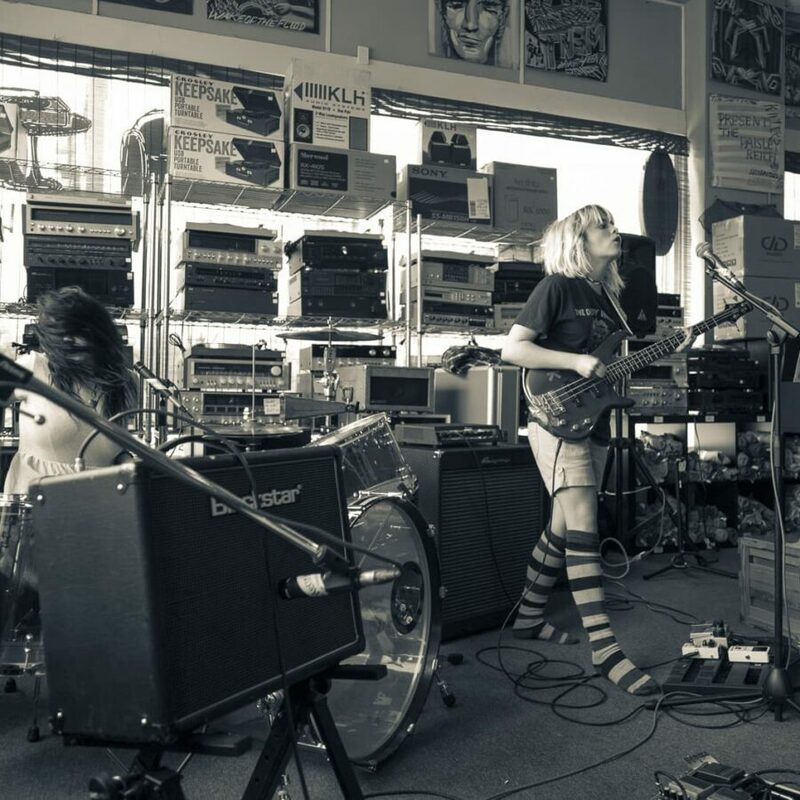 Fuzz Steilacoom is avail­able at iTunes. 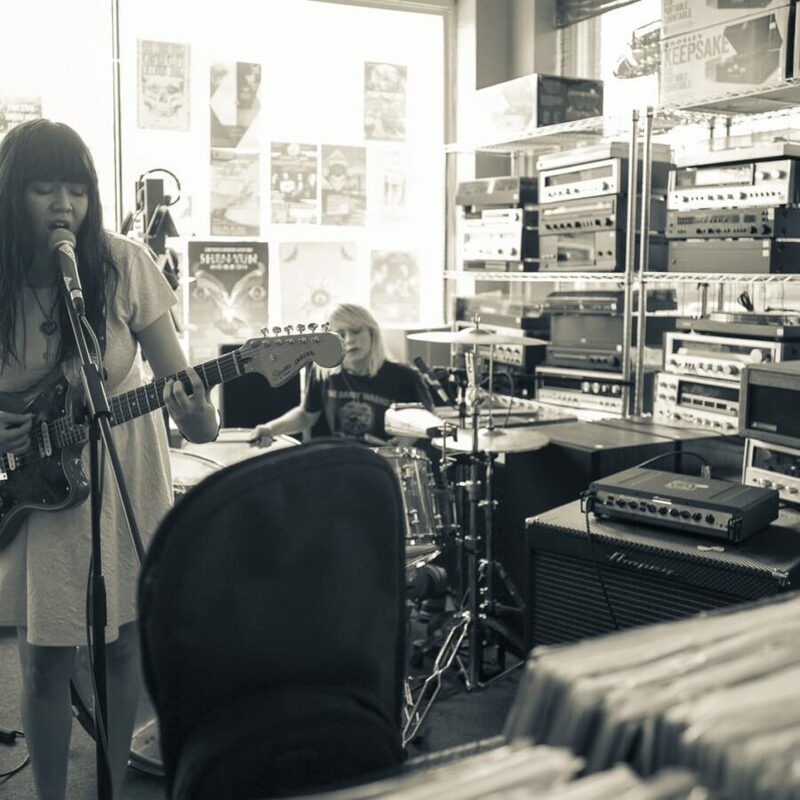 You can also buy the CD at Amazon, or pick up a lim­ited edi­tion vinyl LP at any Guestroom Records loca­tion.